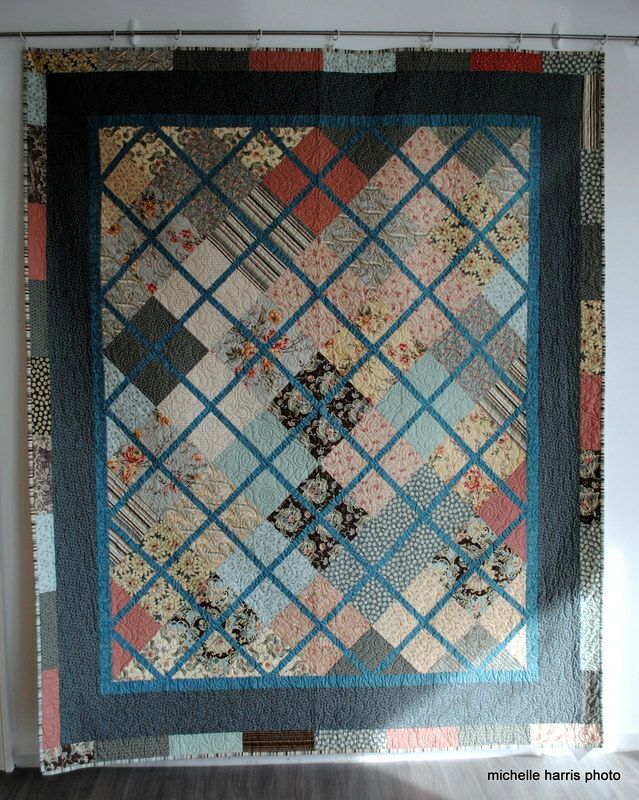 Pink and Blue Small Quilt with wool batting and flannel bacl. 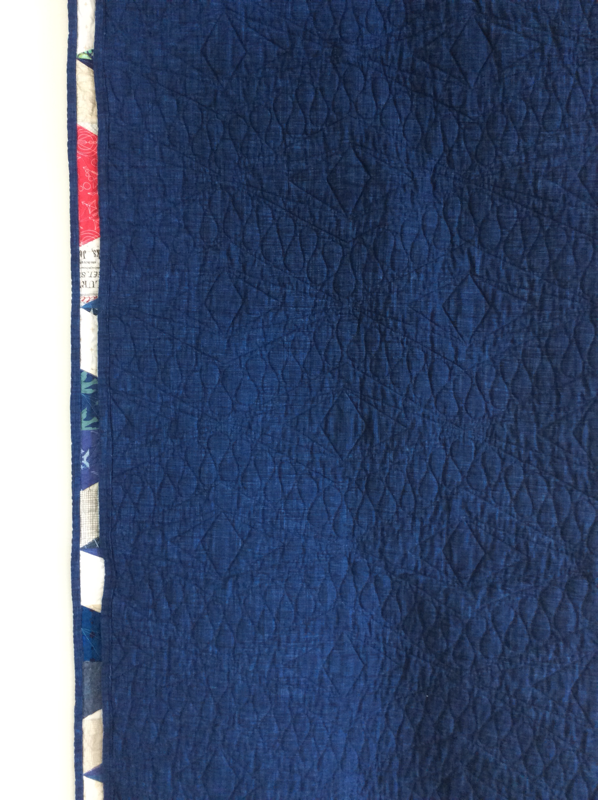 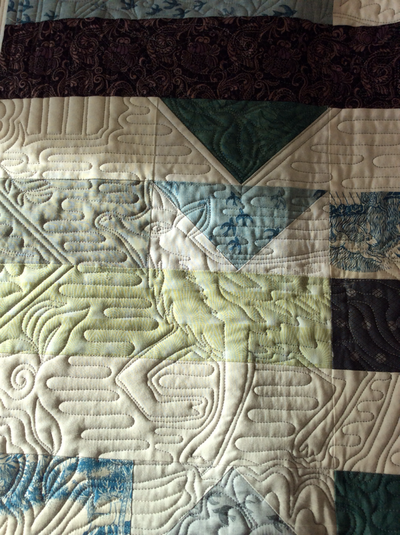 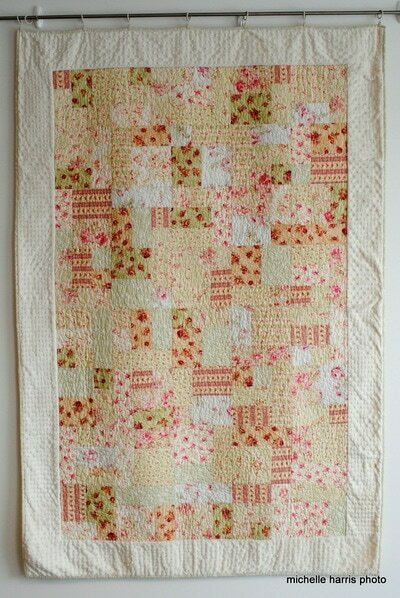 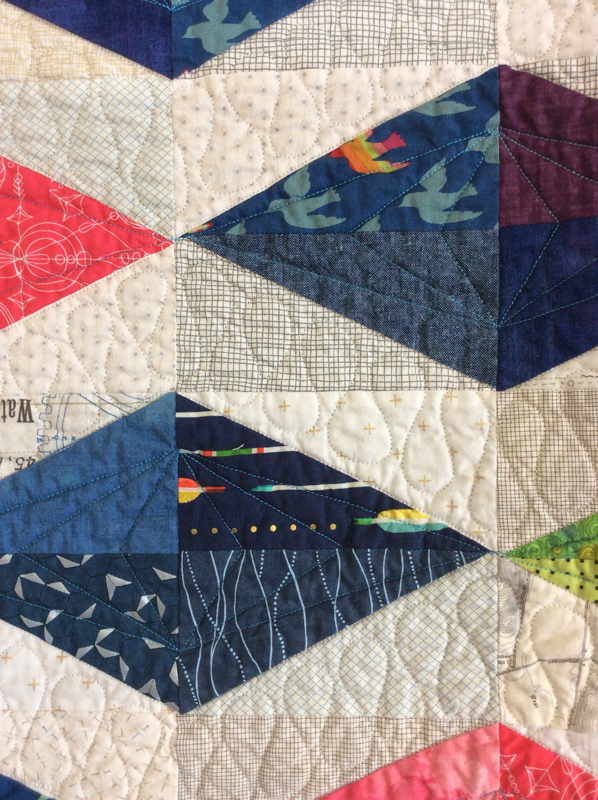 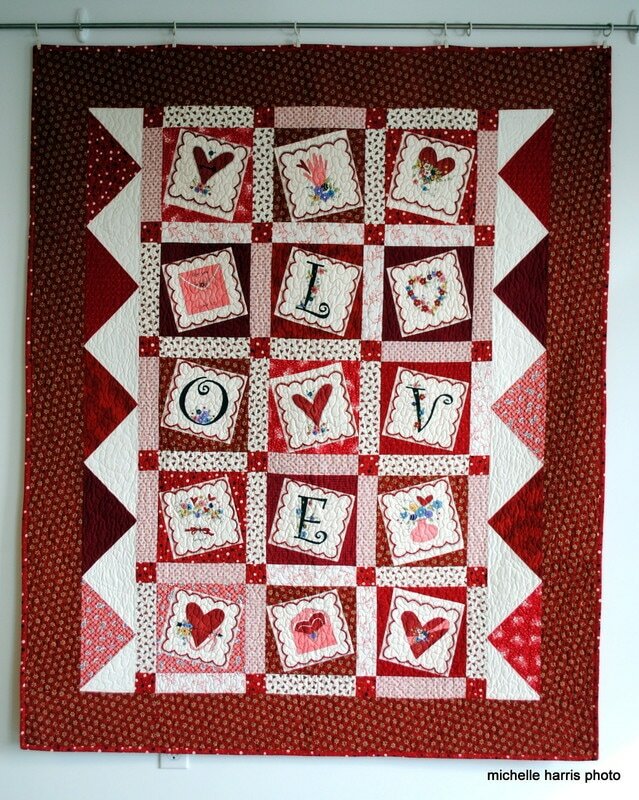 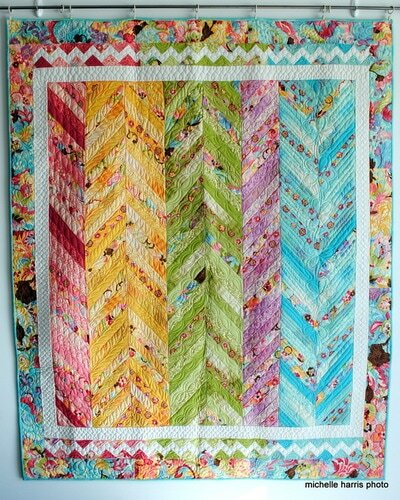 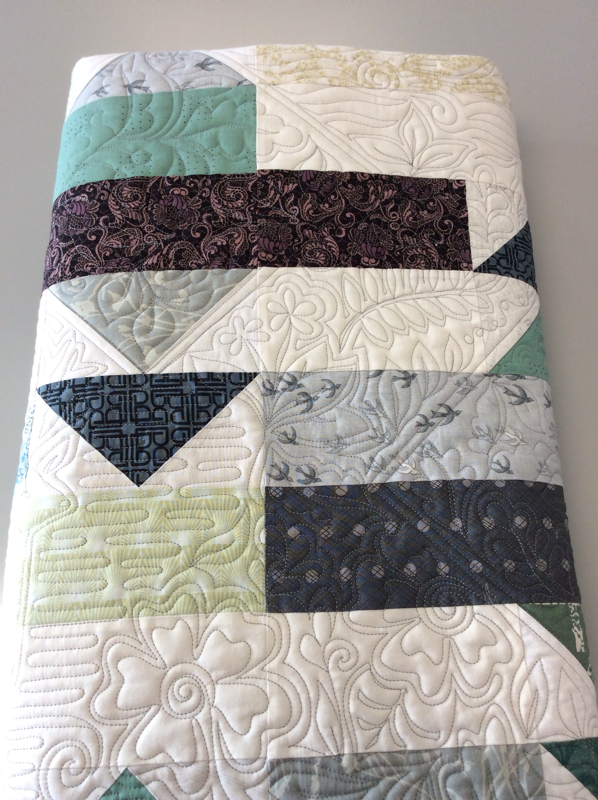 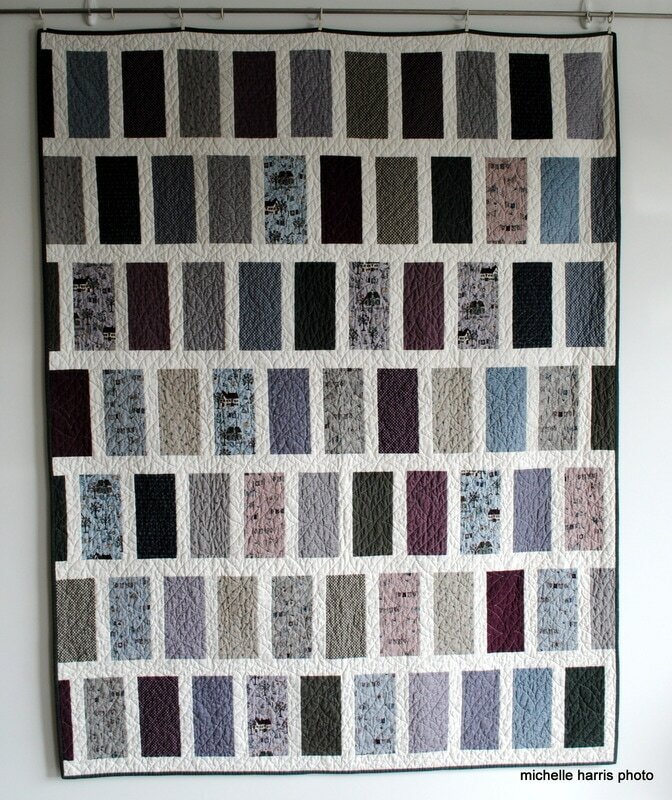 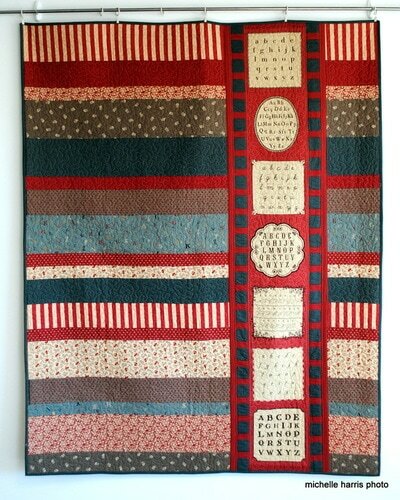 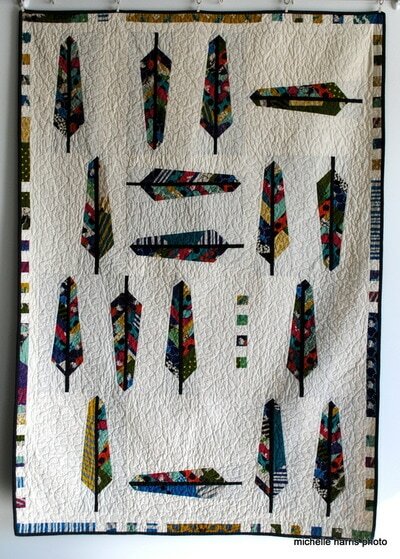 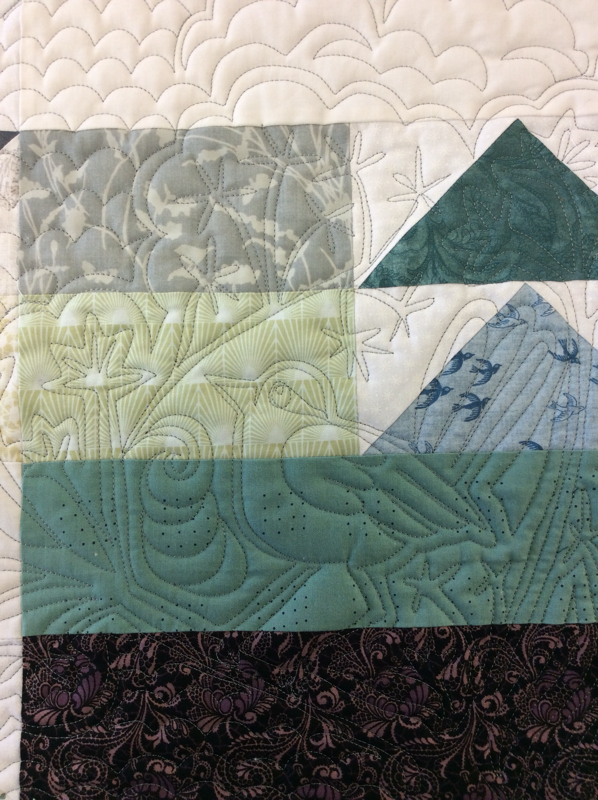 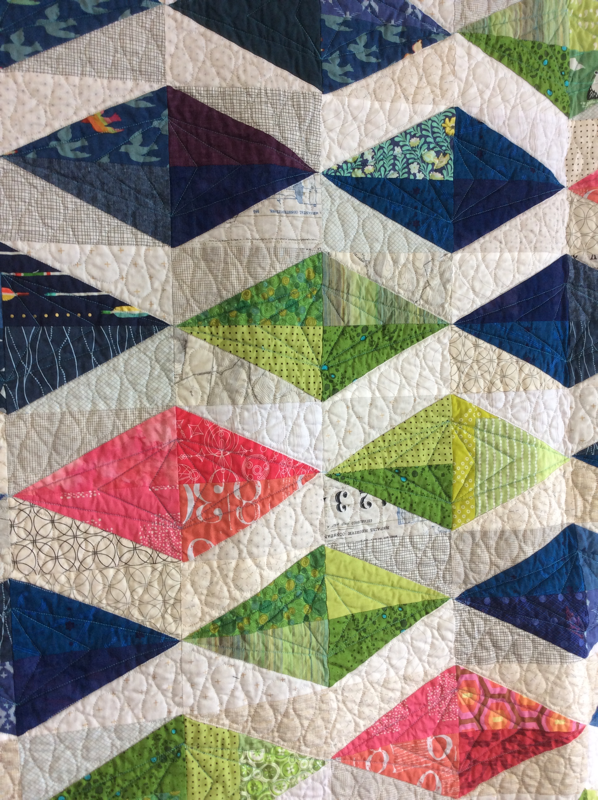 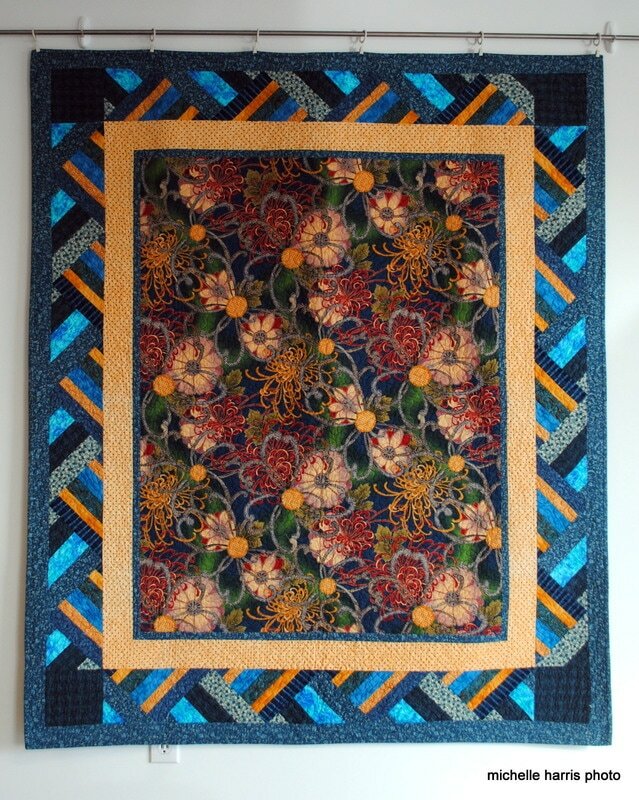 I stitched a simple feather pantograph on this little quilt. It is very snuggly. 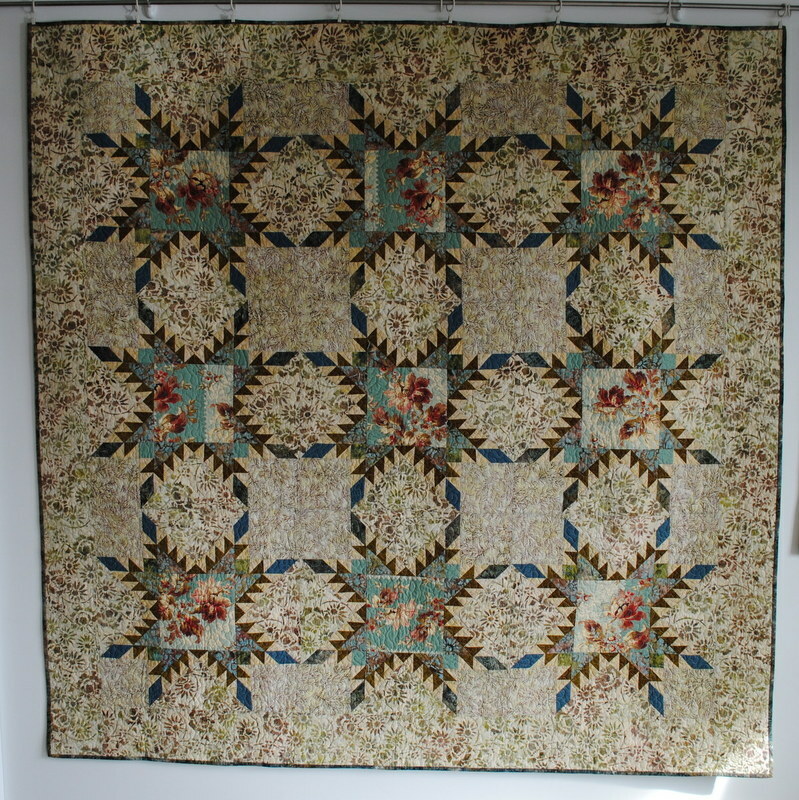 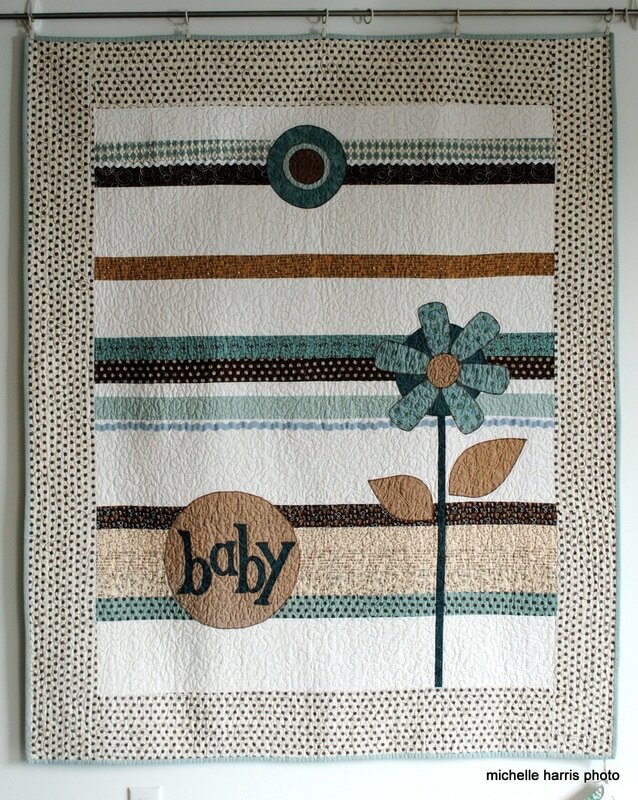 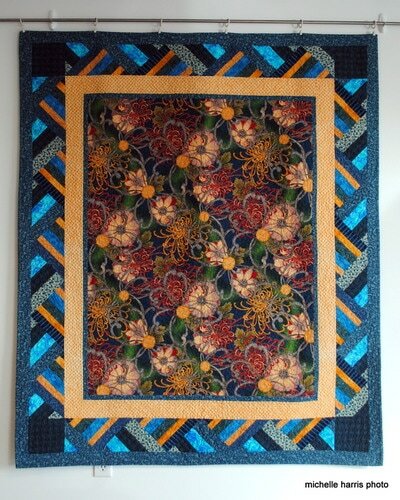 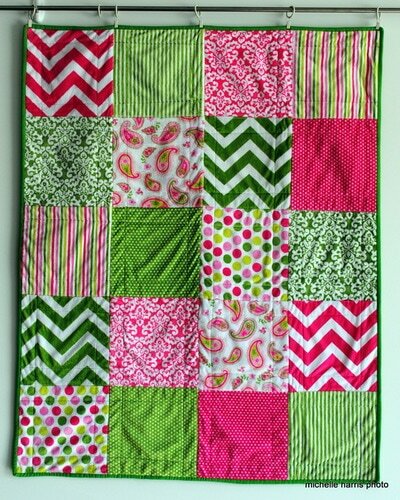 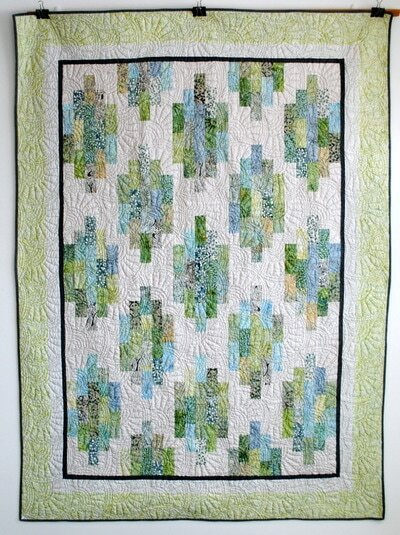 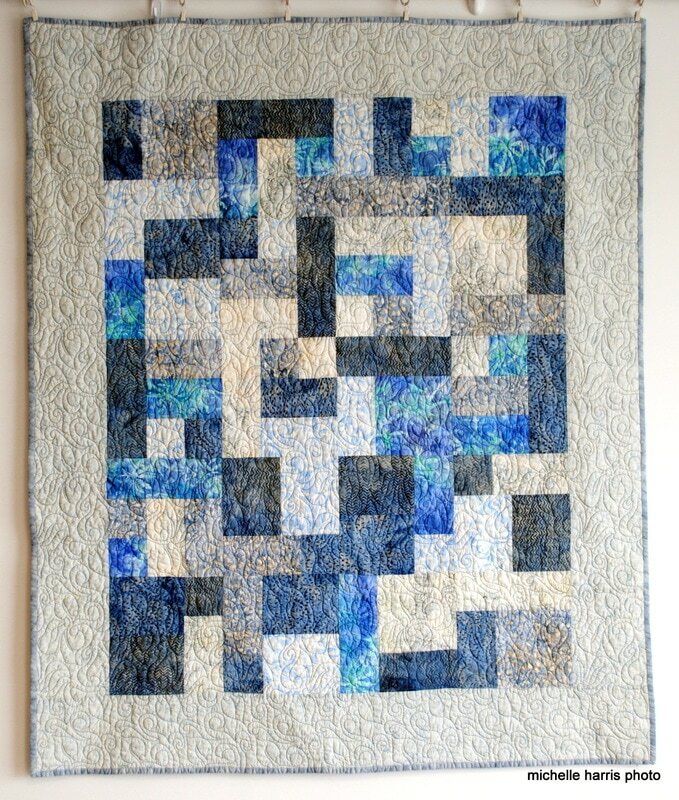 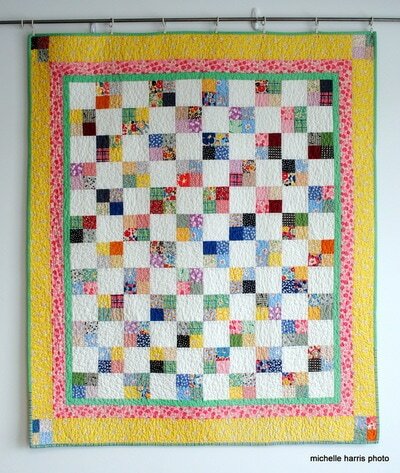 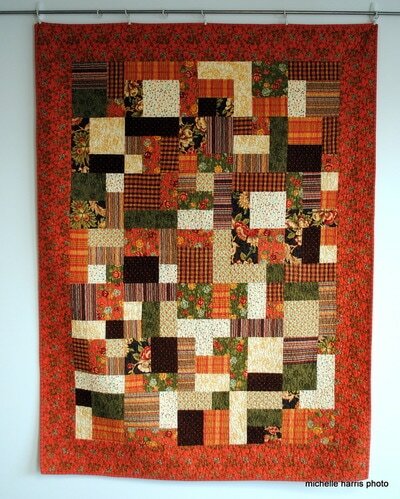 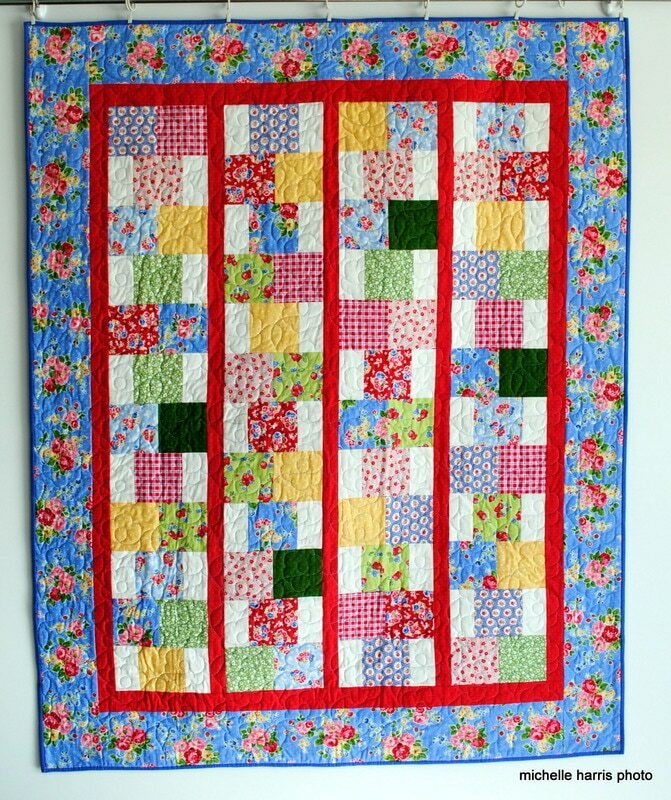 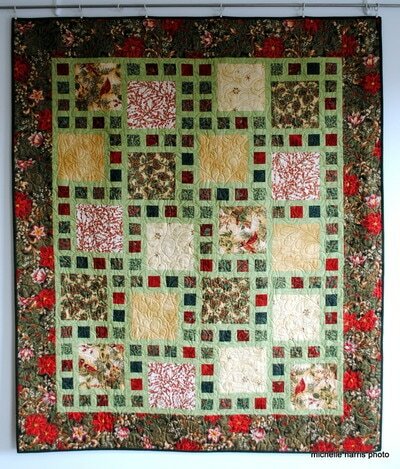 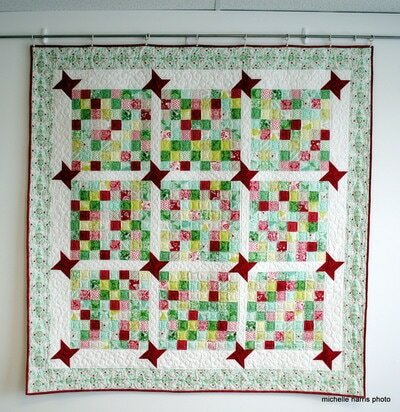 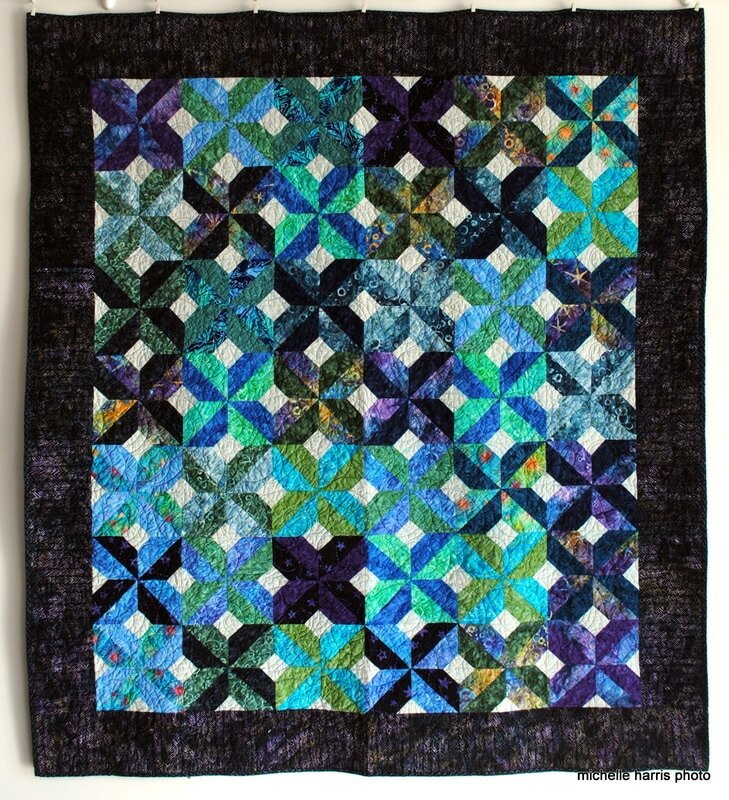 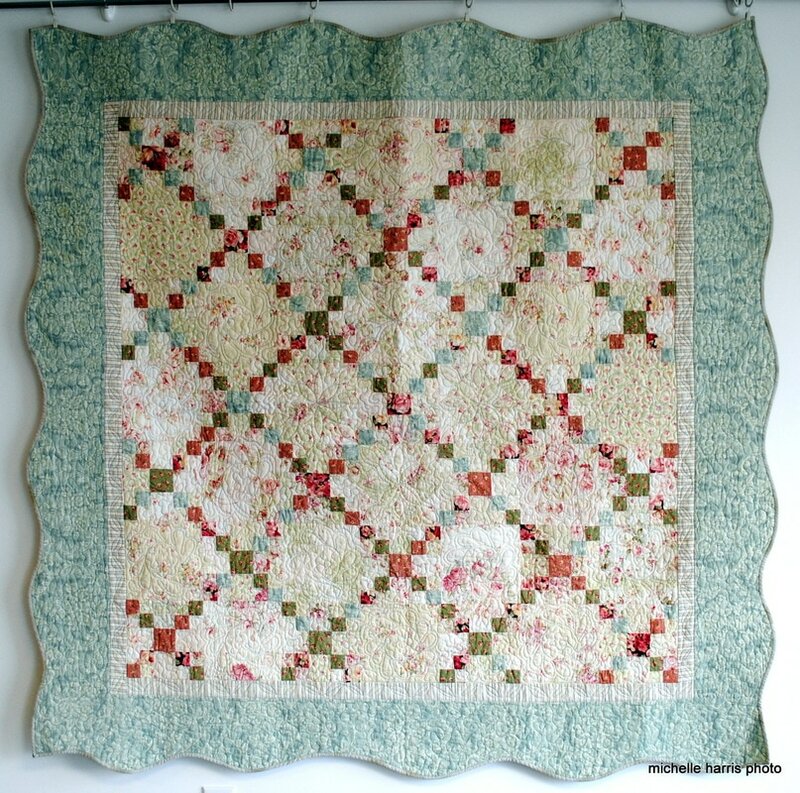 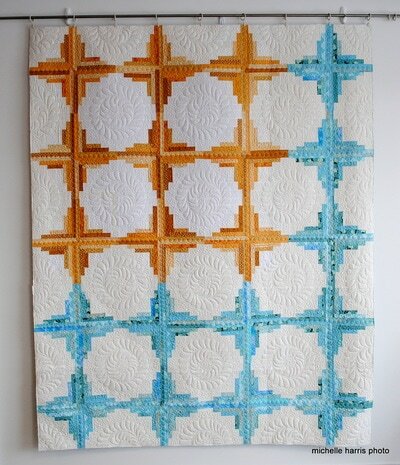 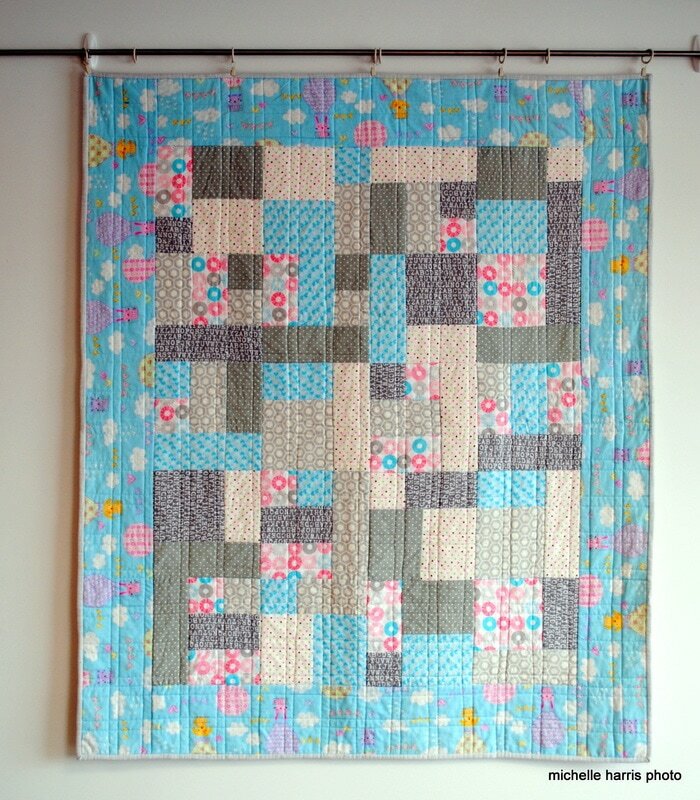 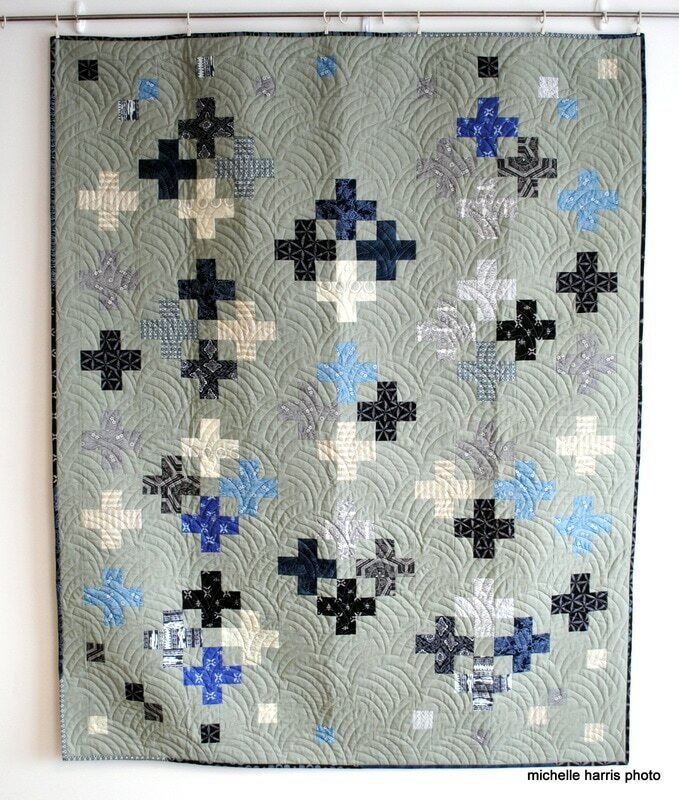 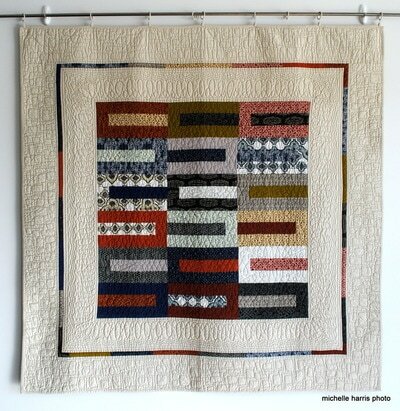 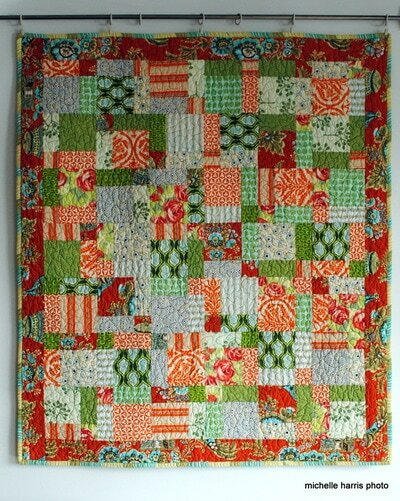 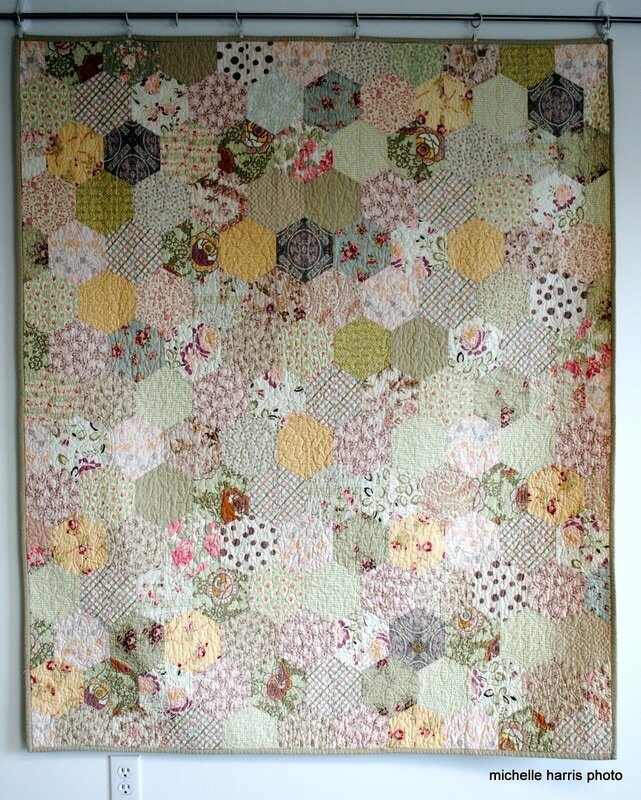 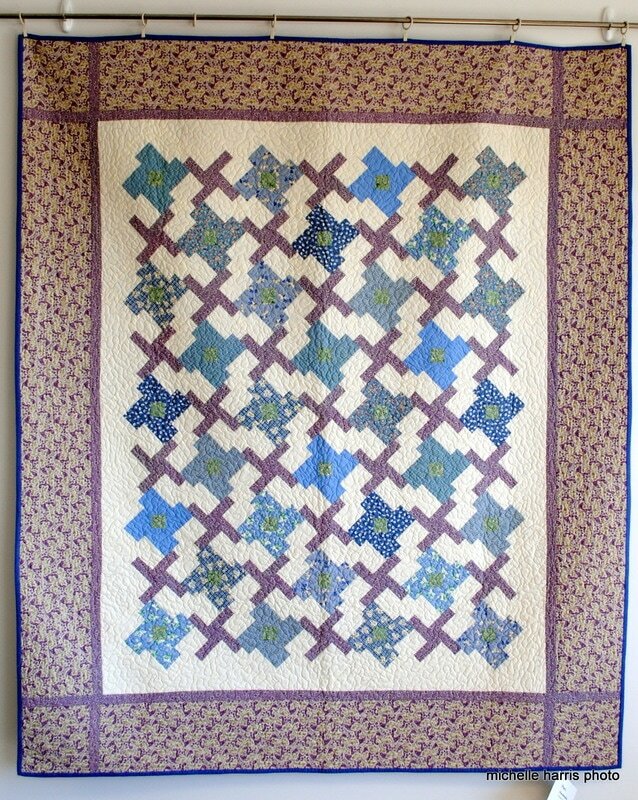 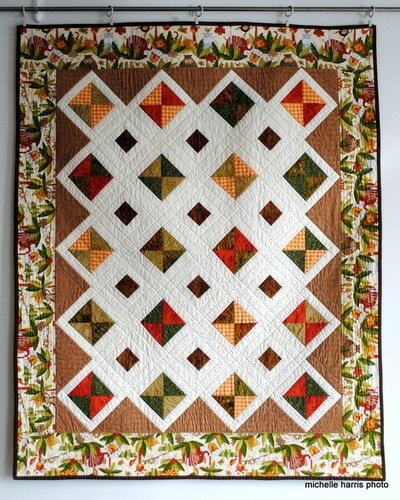 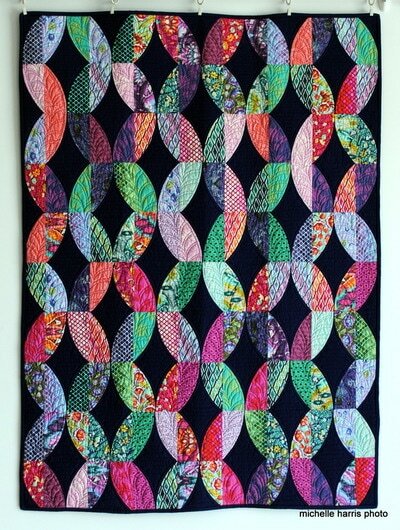 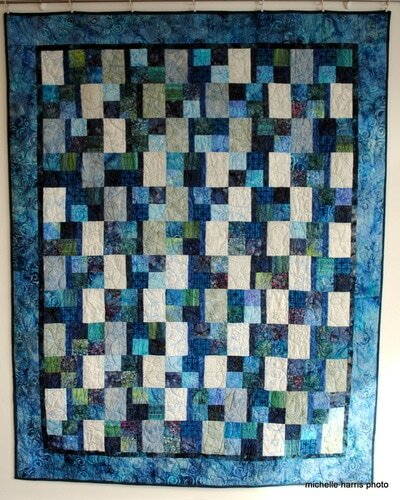 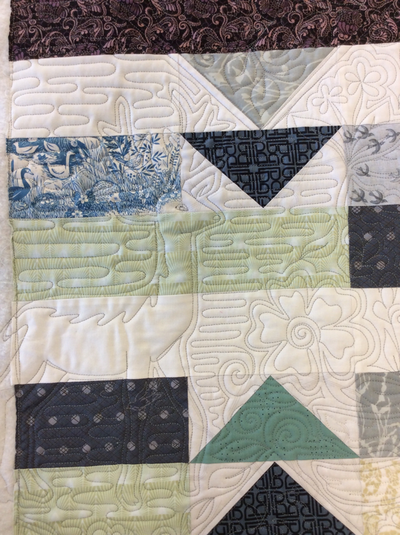 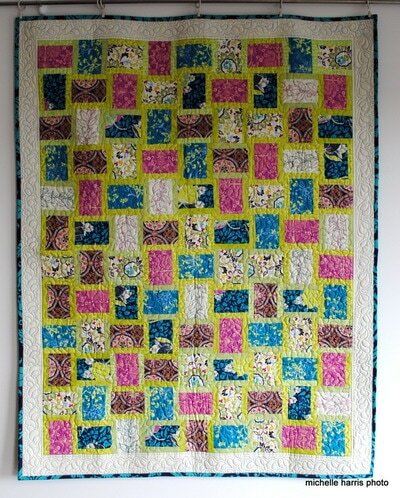 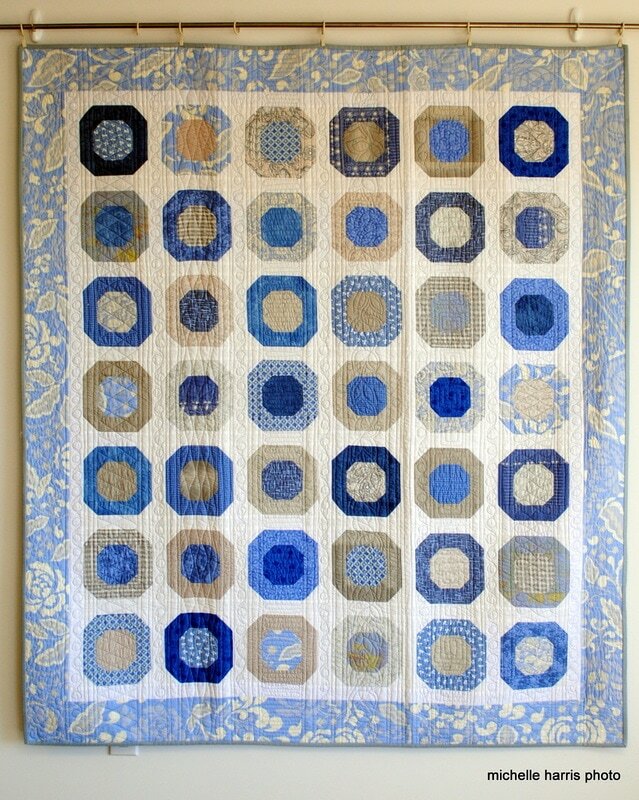 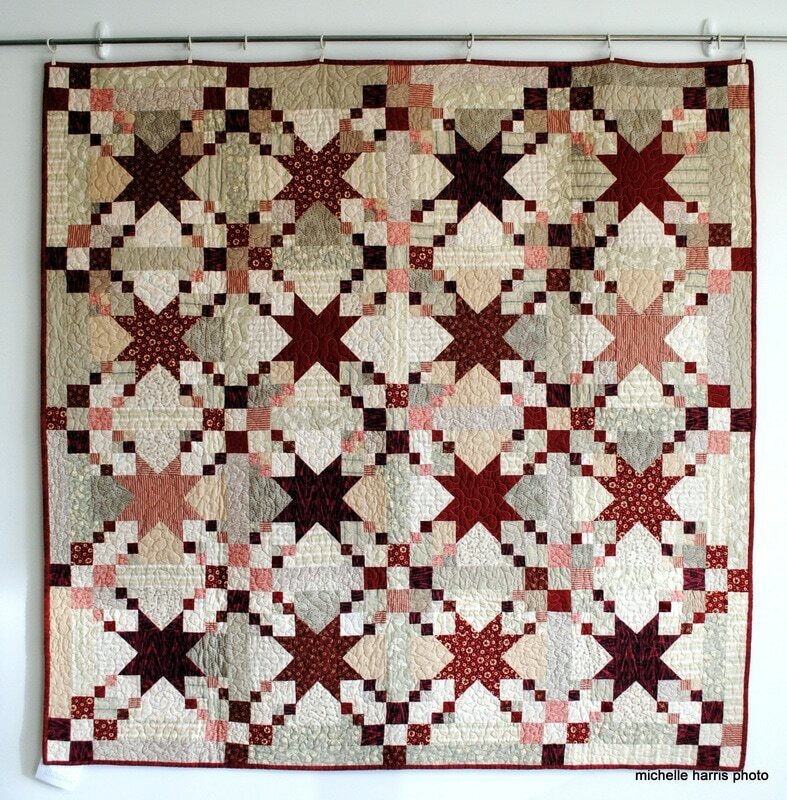 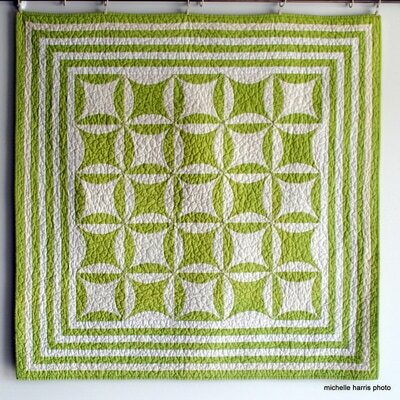 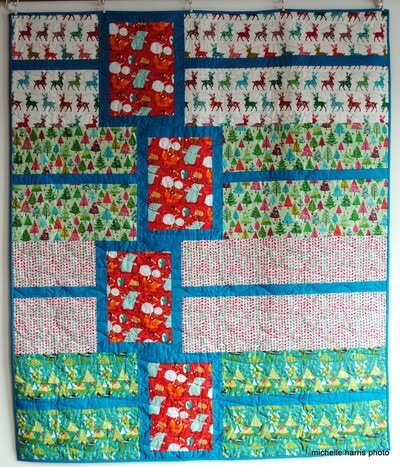 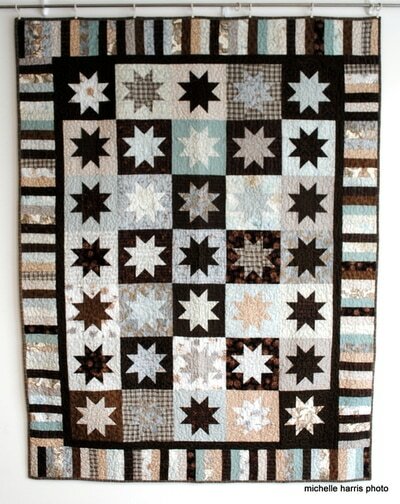 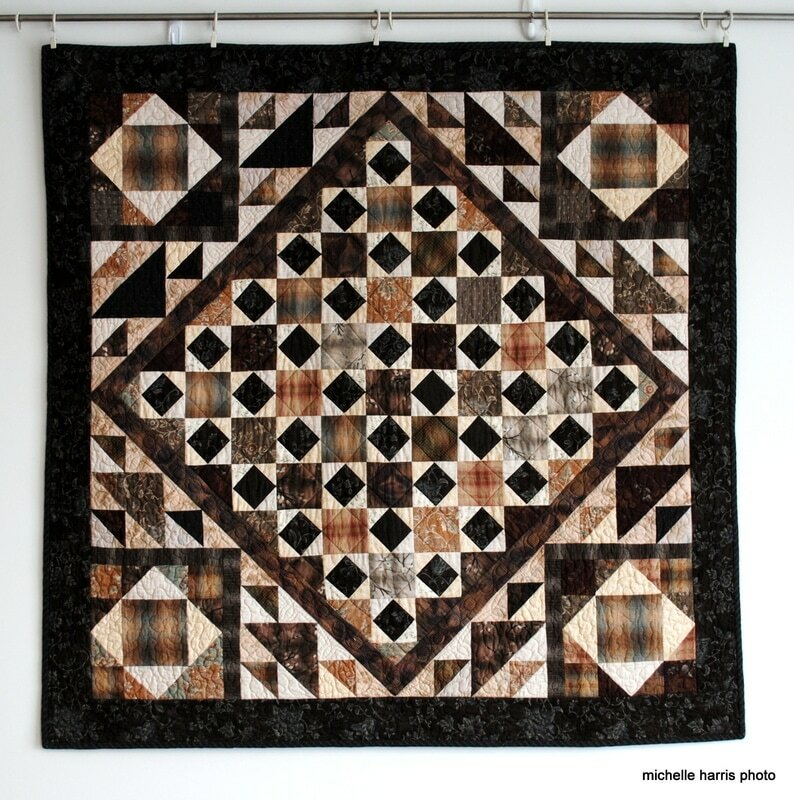 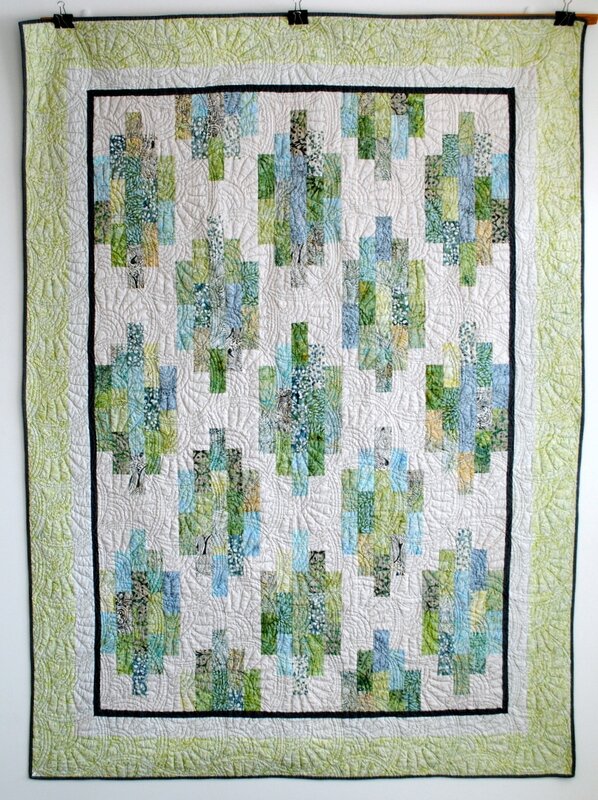 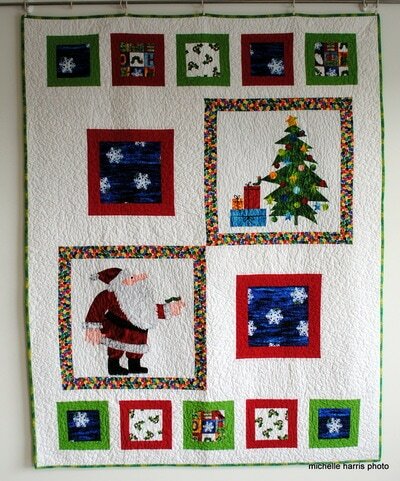 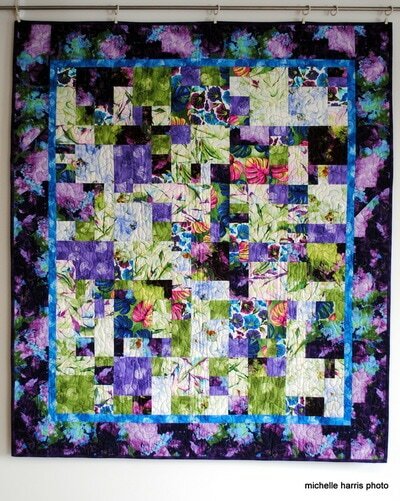 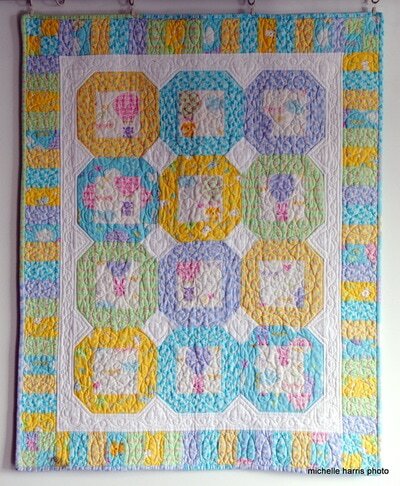 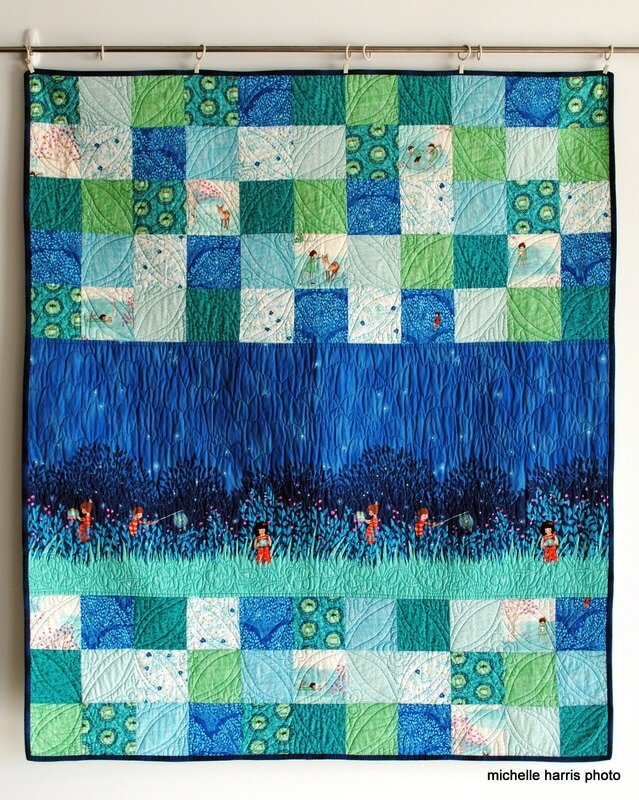 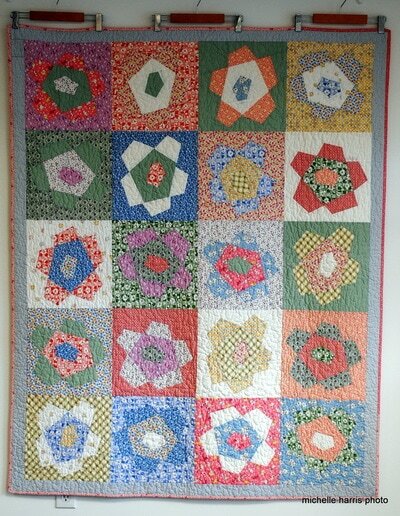 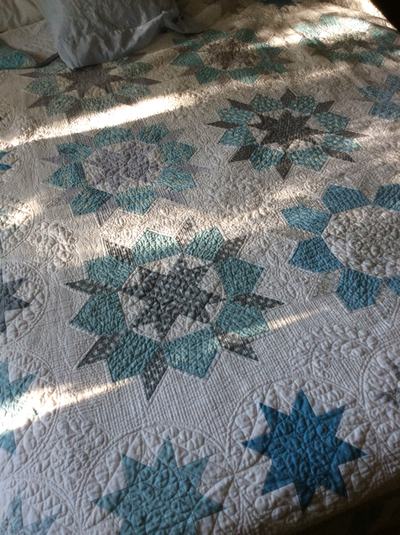 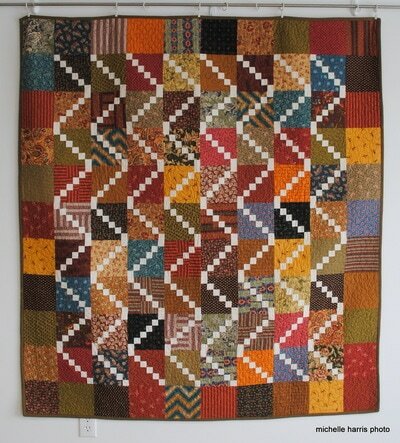 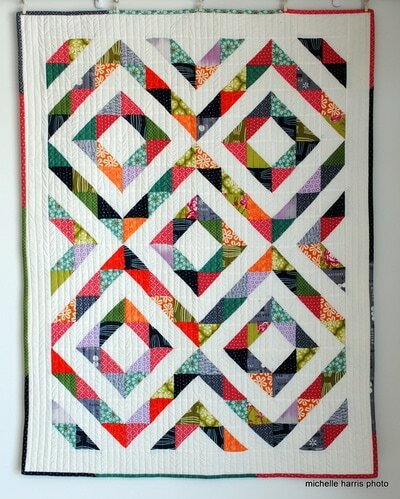 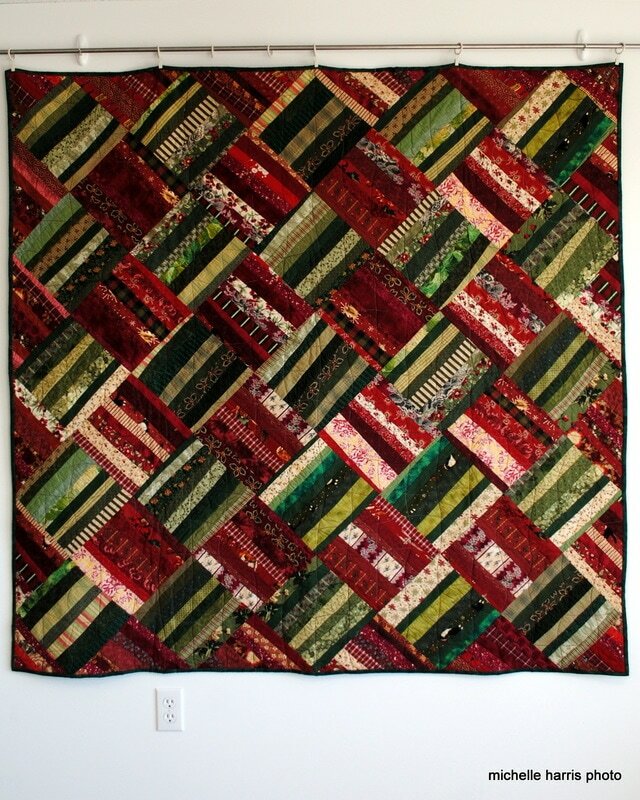 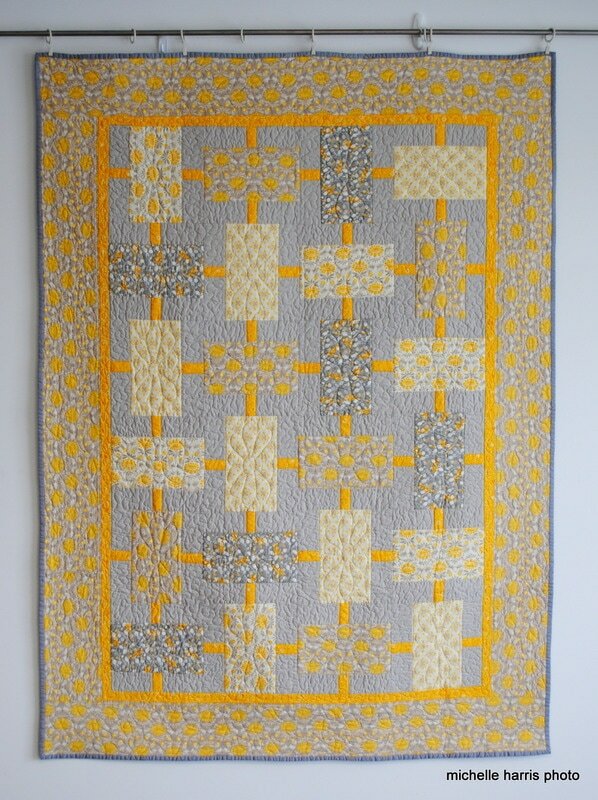 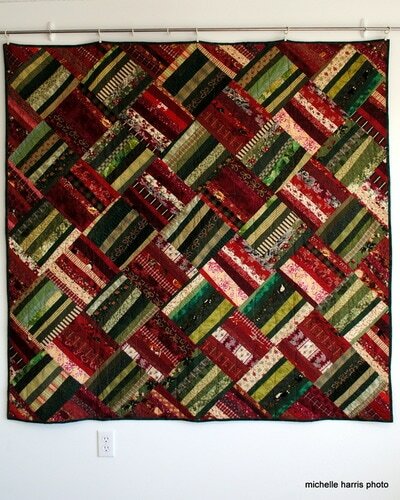 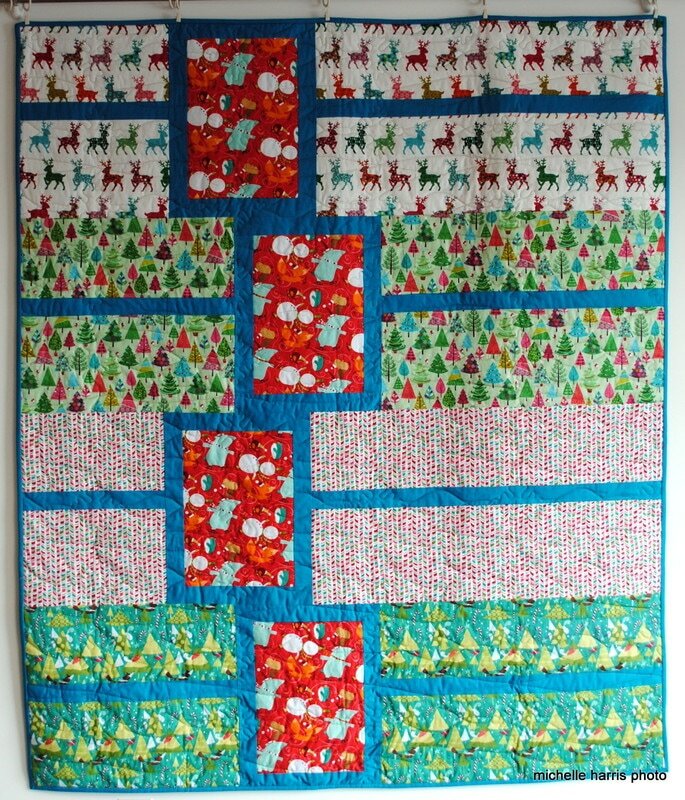 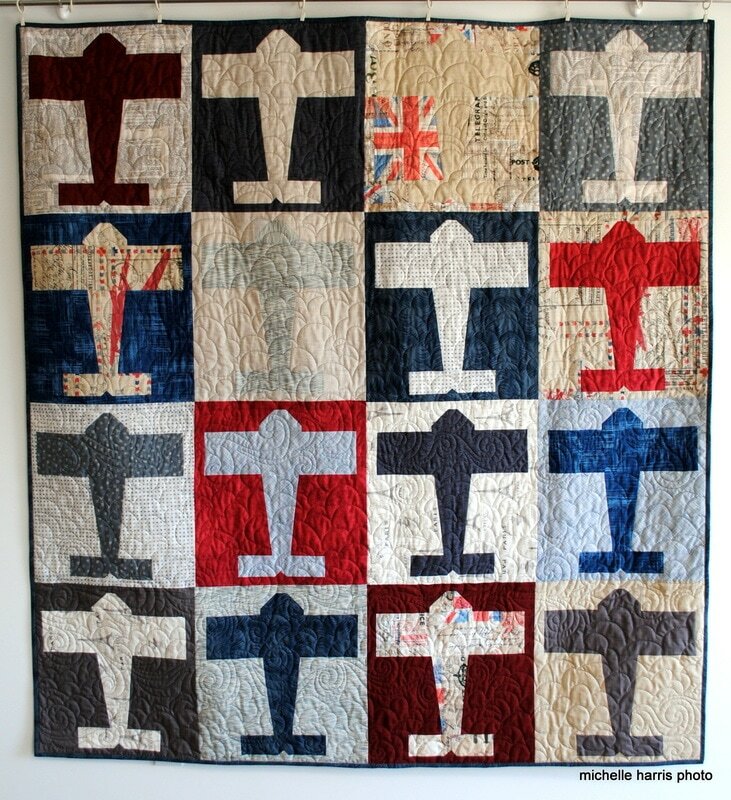 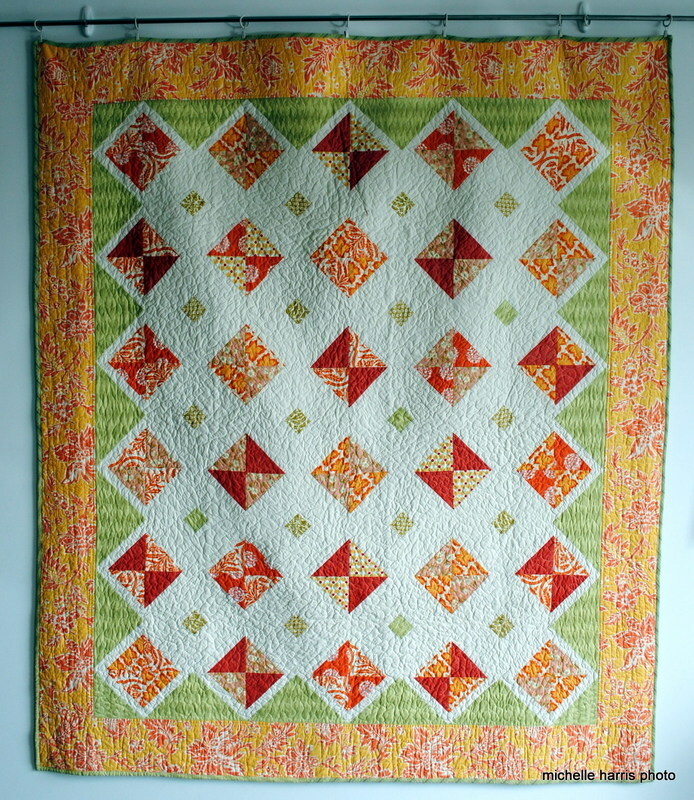 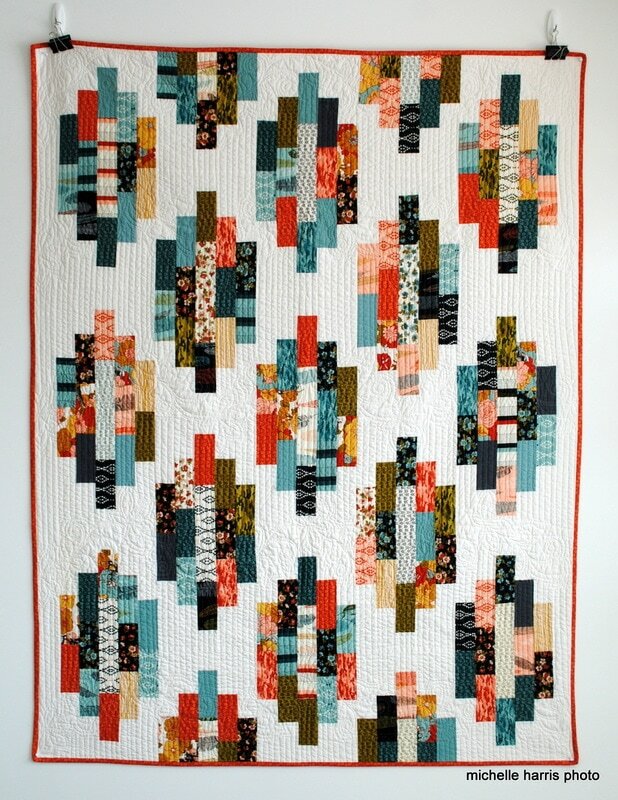 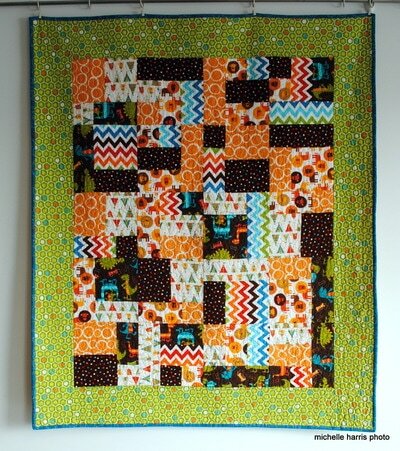 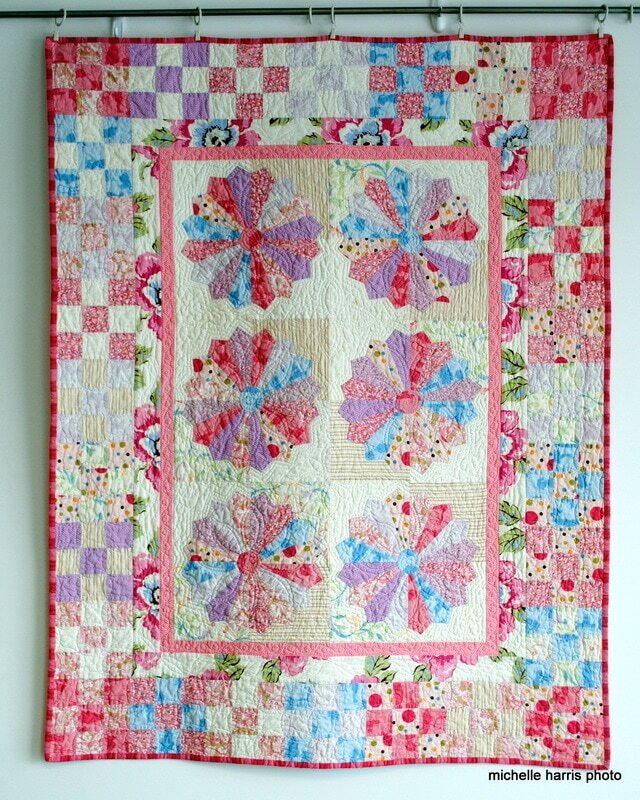 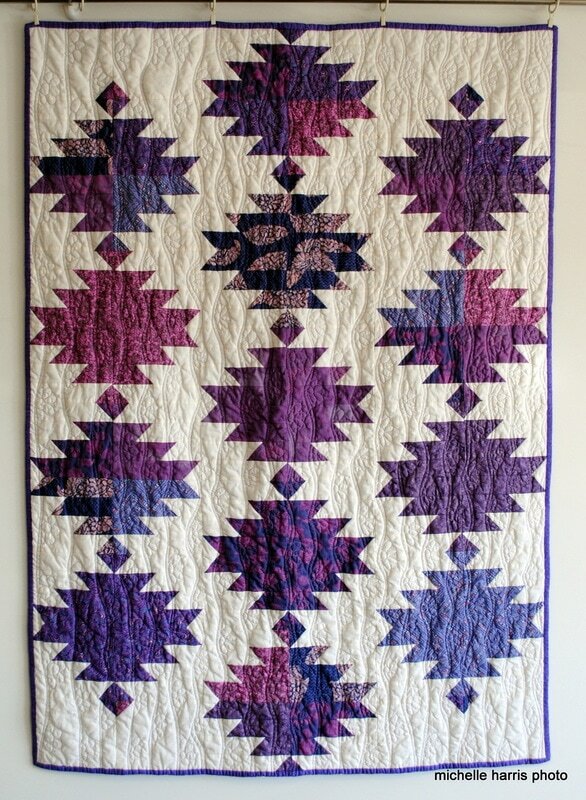 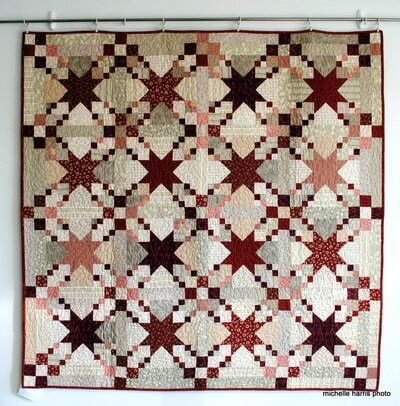 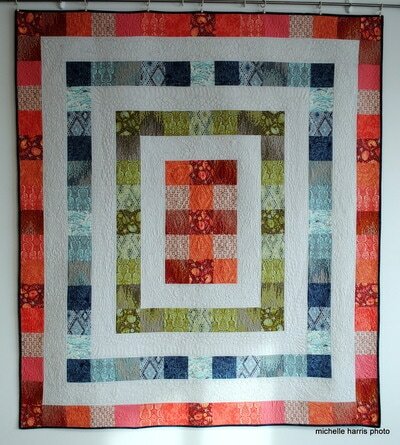 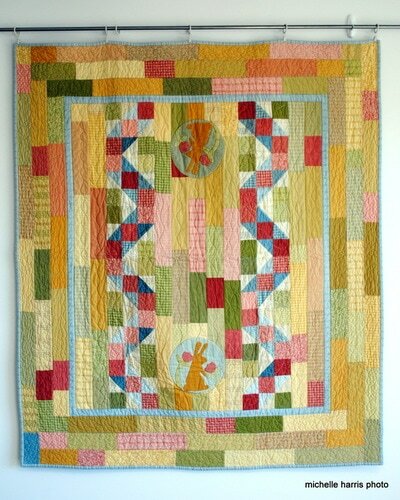 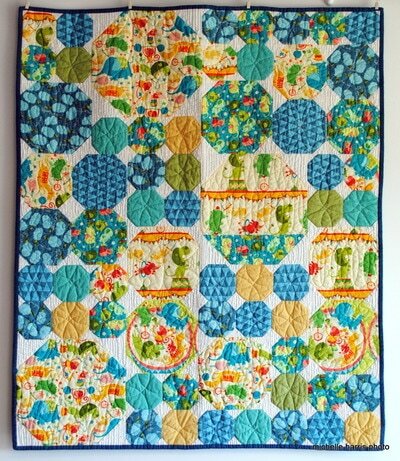 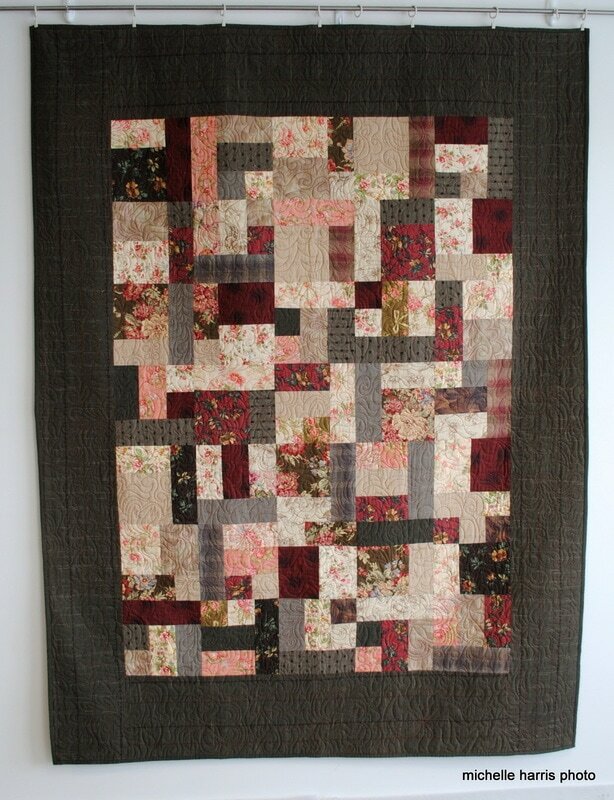 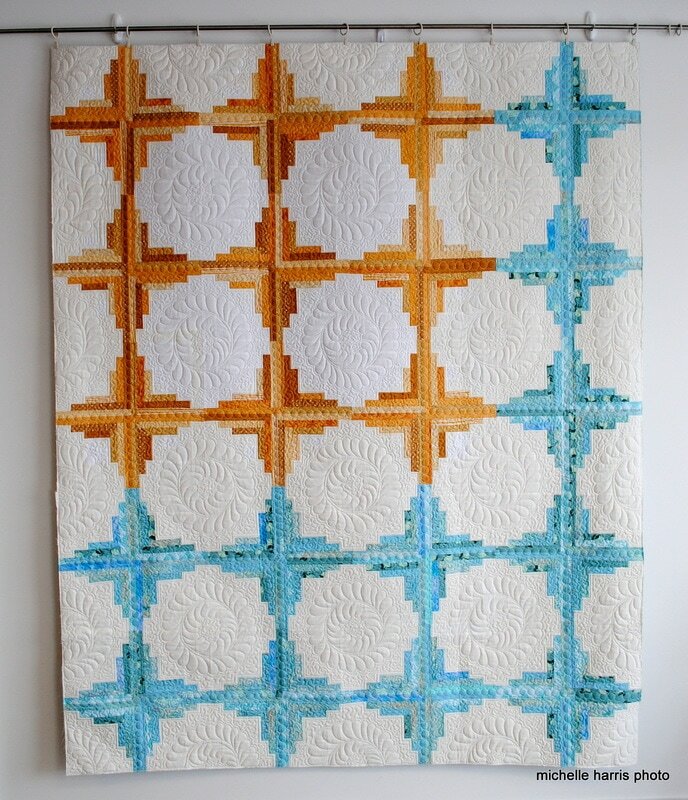 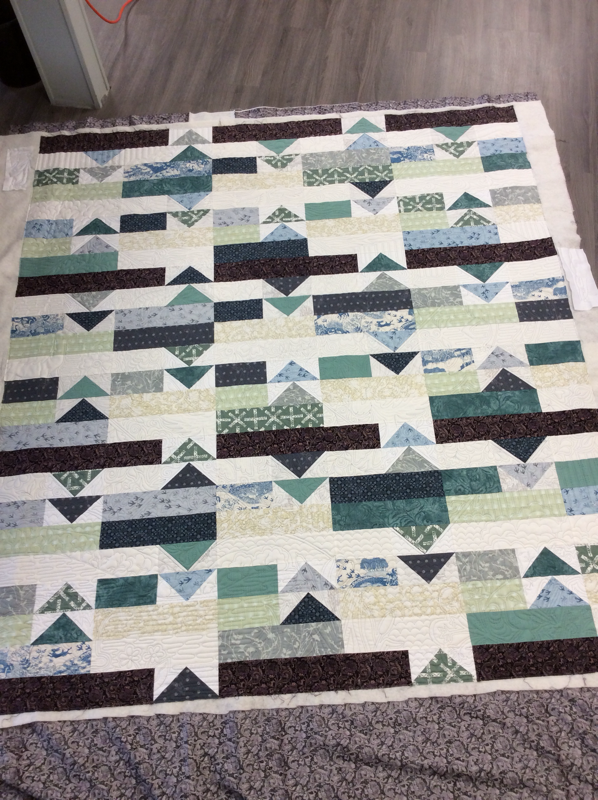 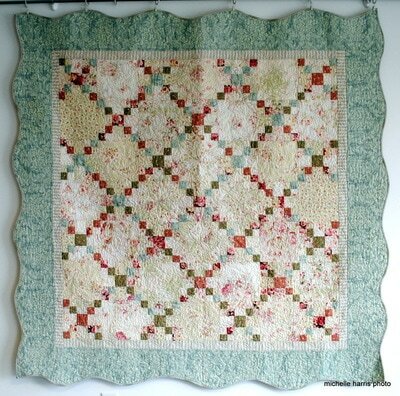 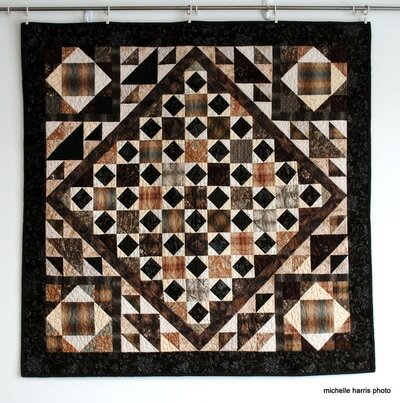 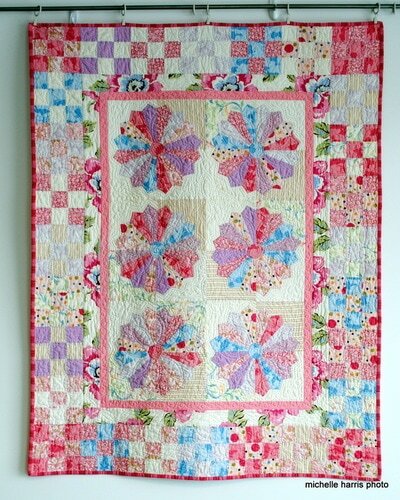 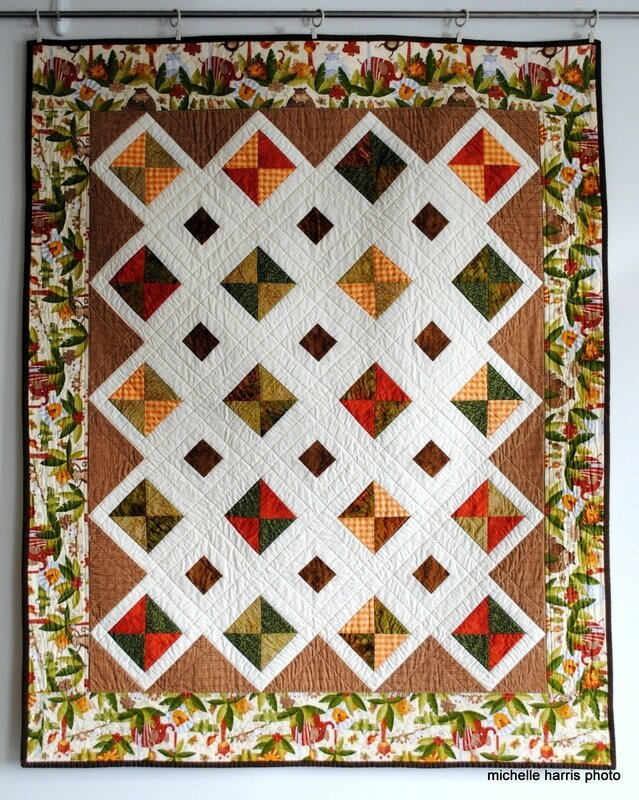 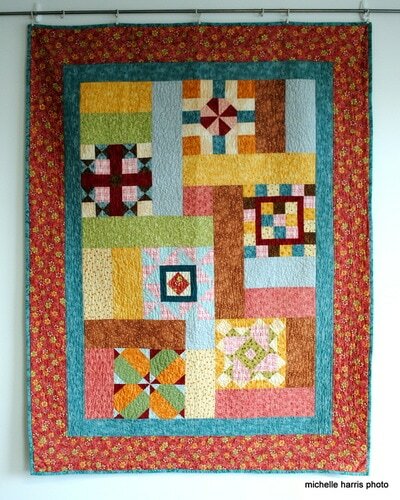 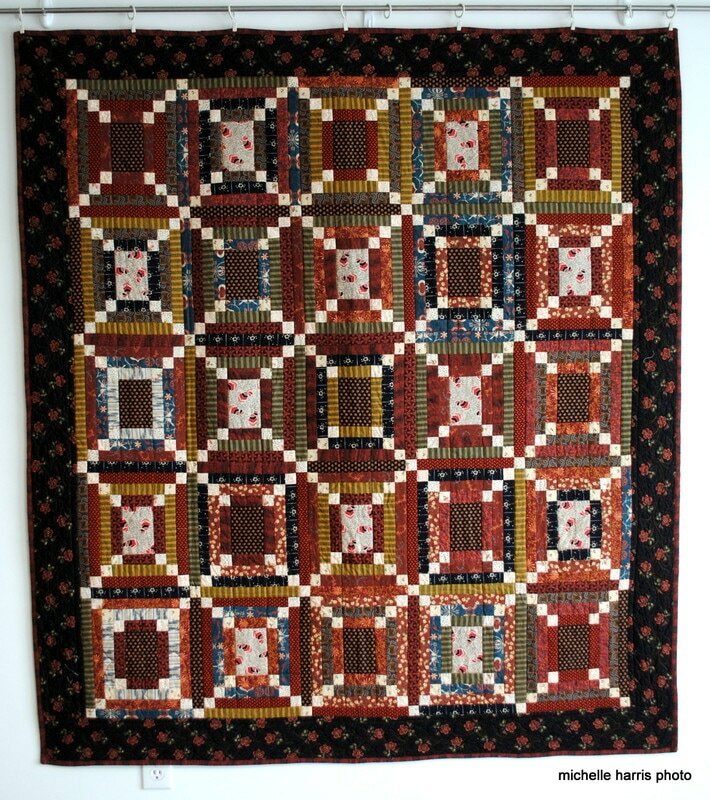 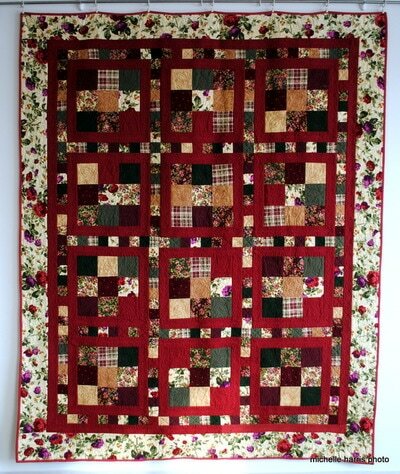 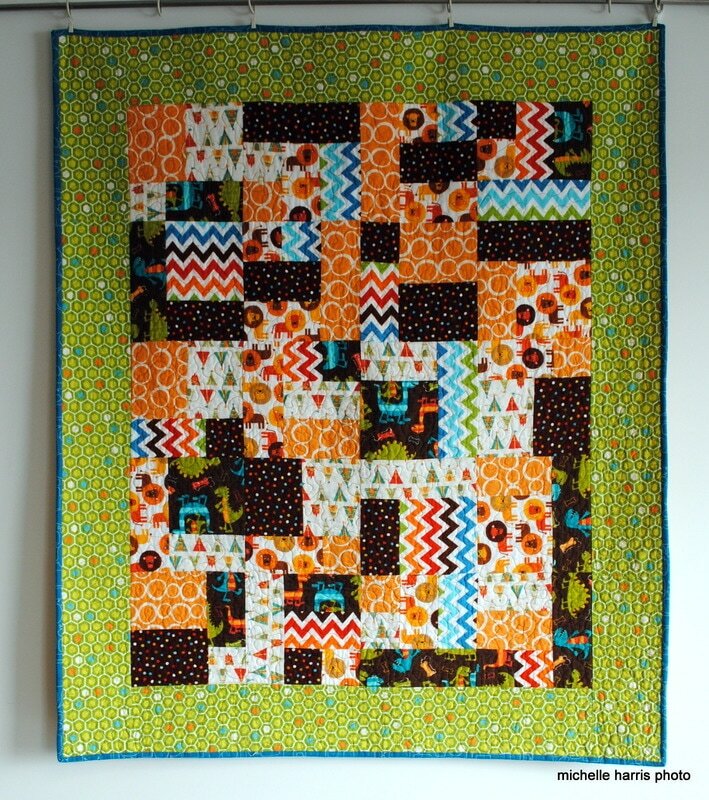 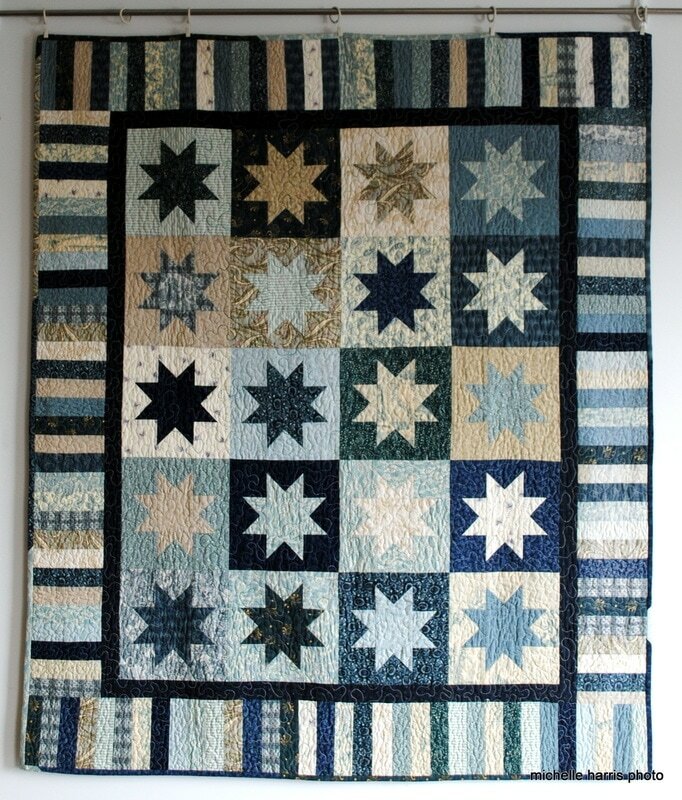 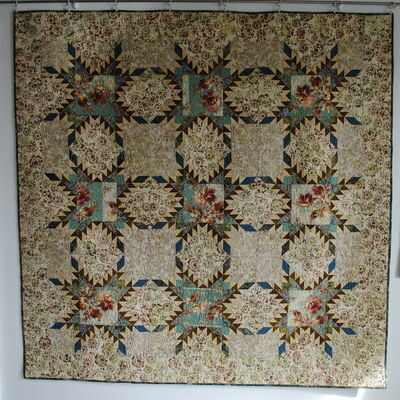 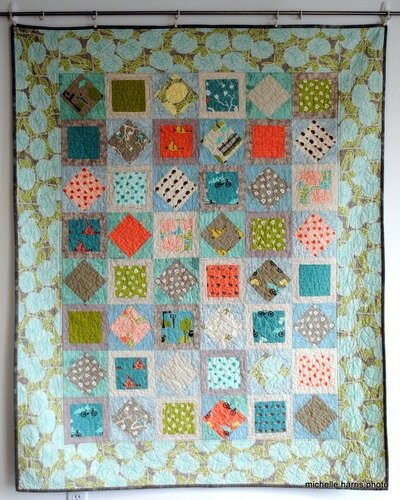 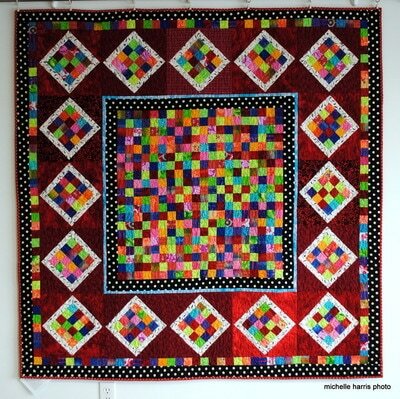 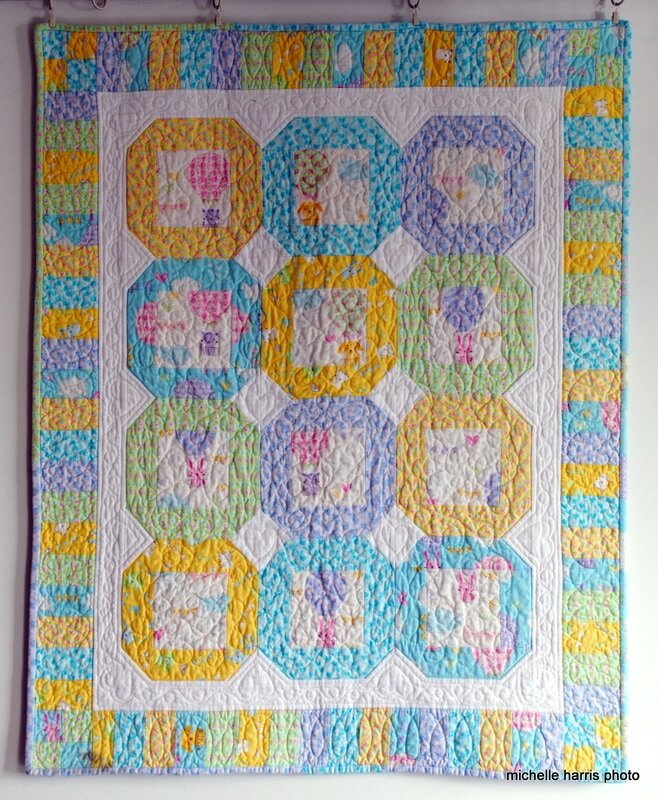 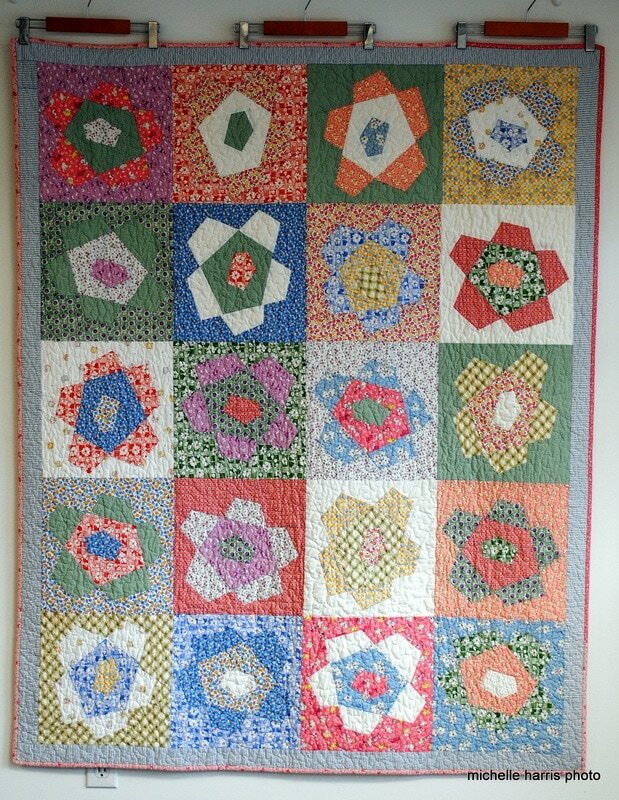 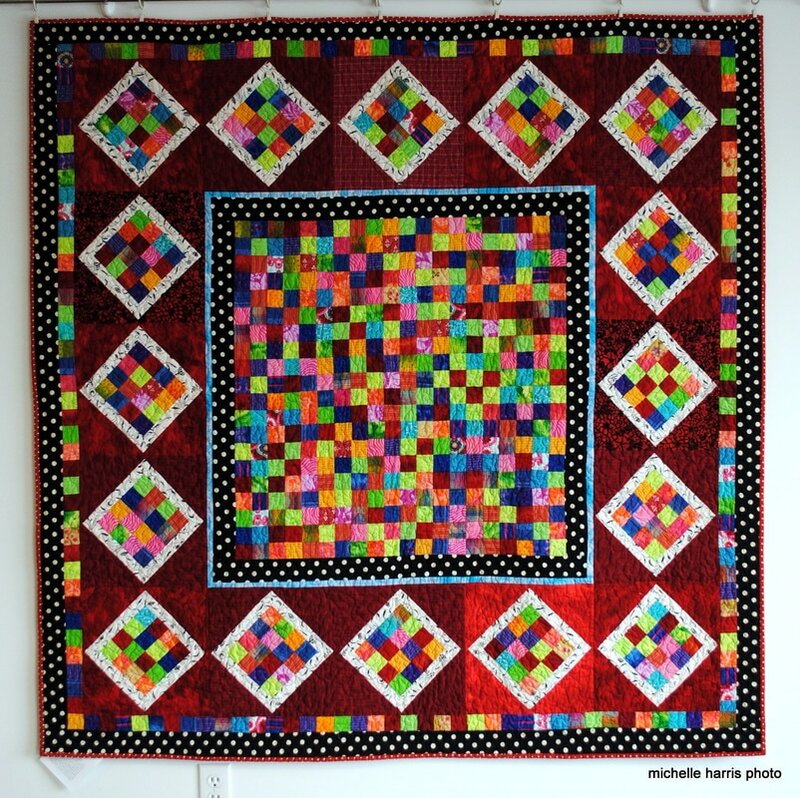 I enjoyed quilting this one with a simple, repeated custom design. 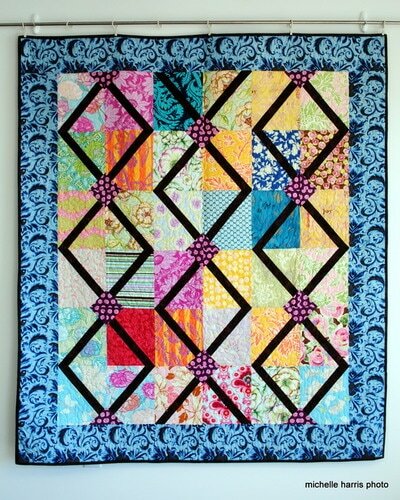 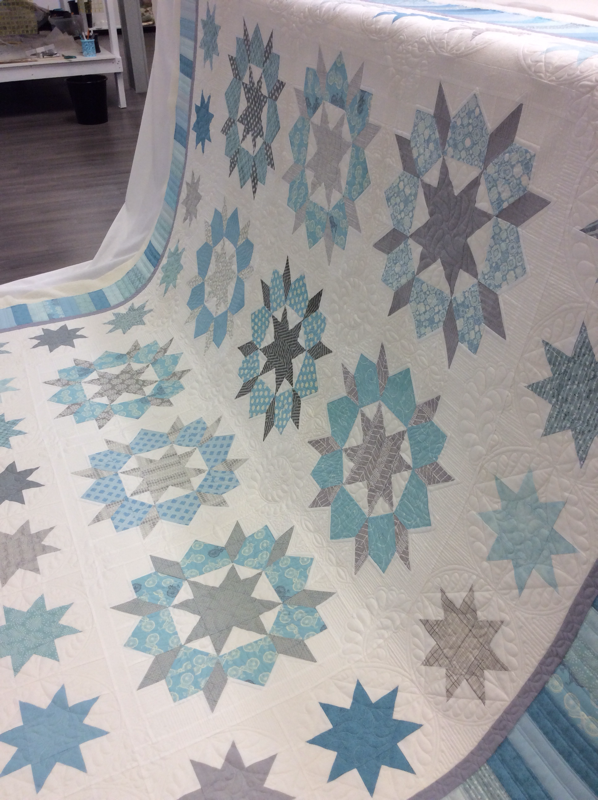 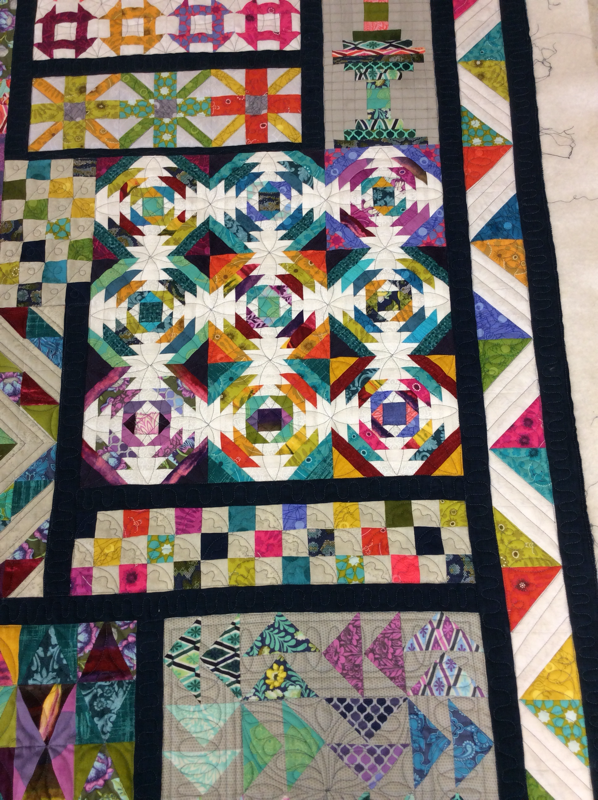 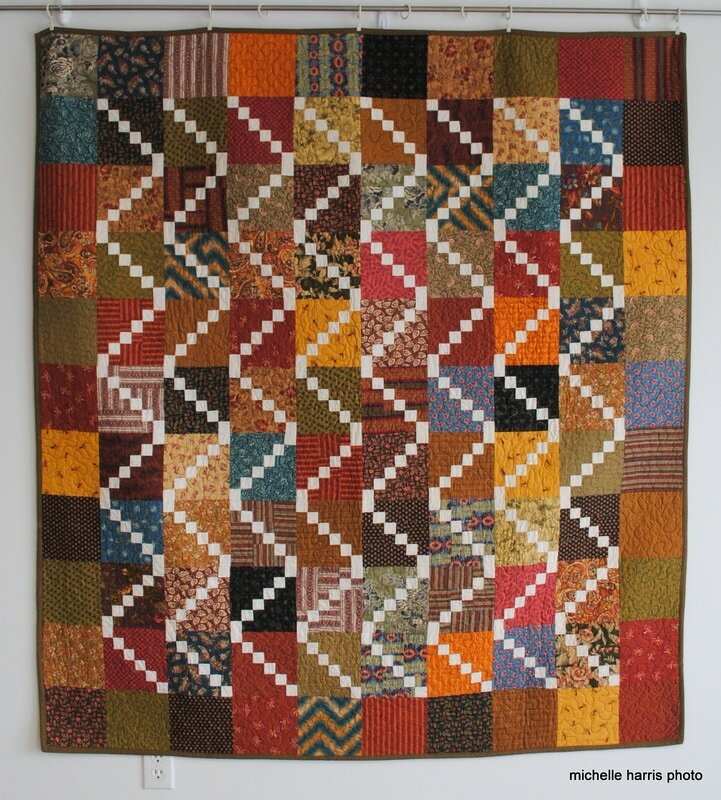 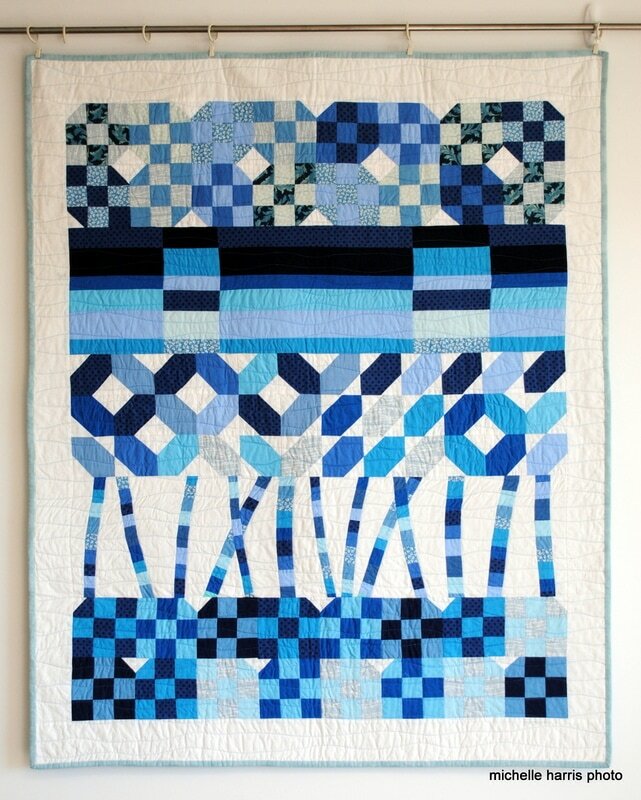 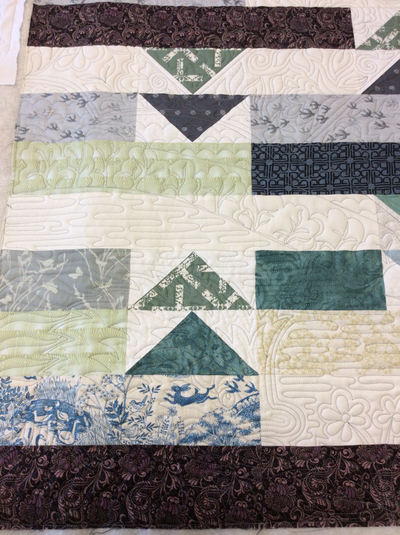 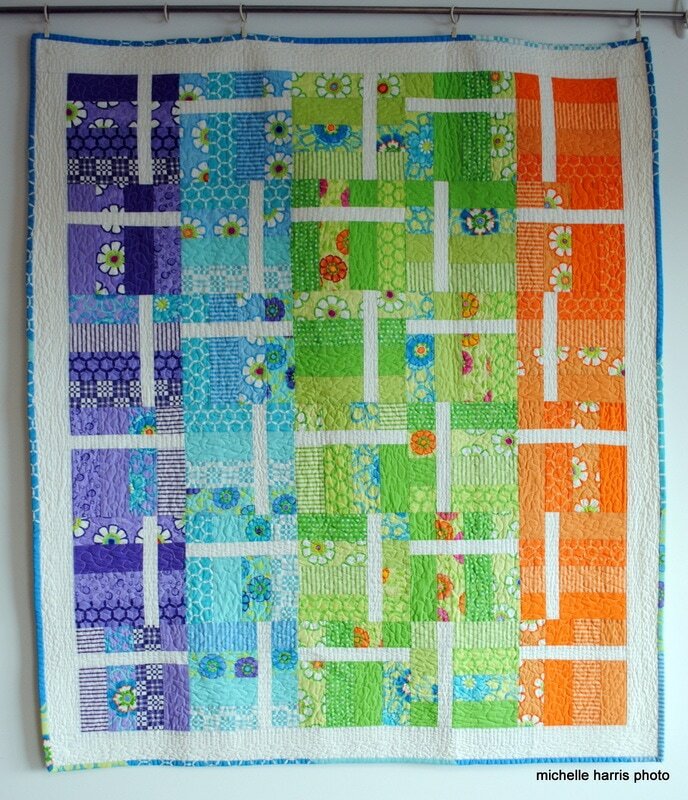 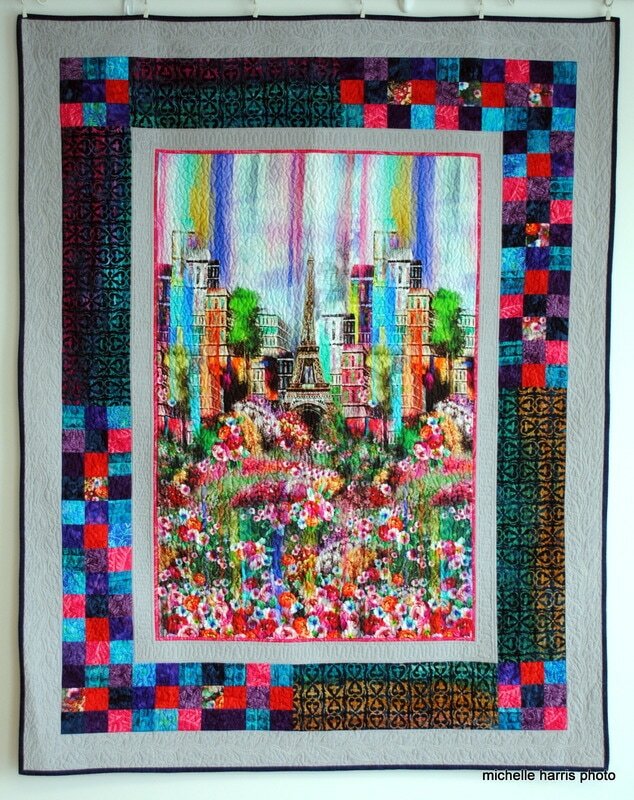 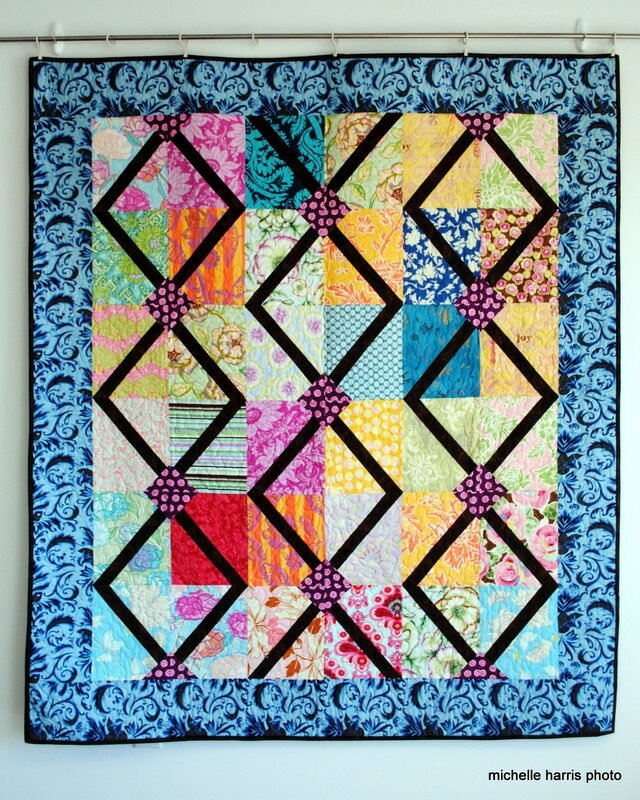 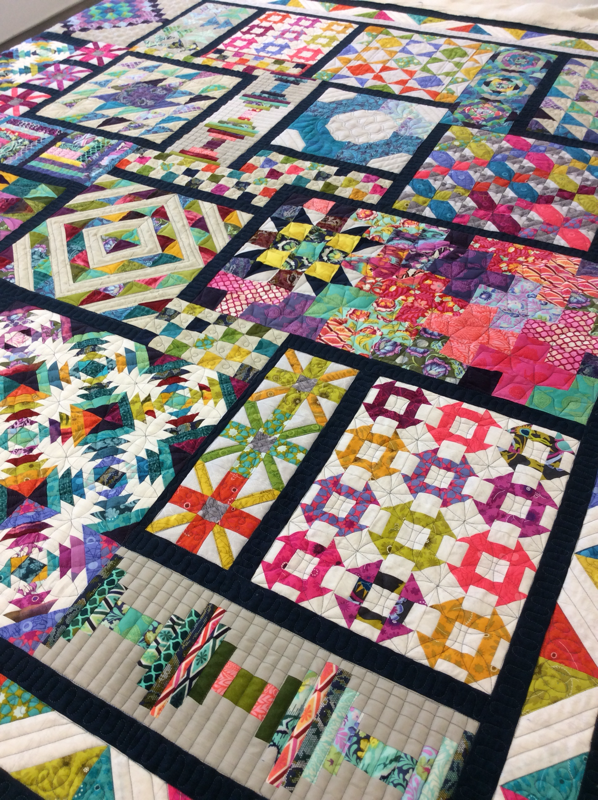 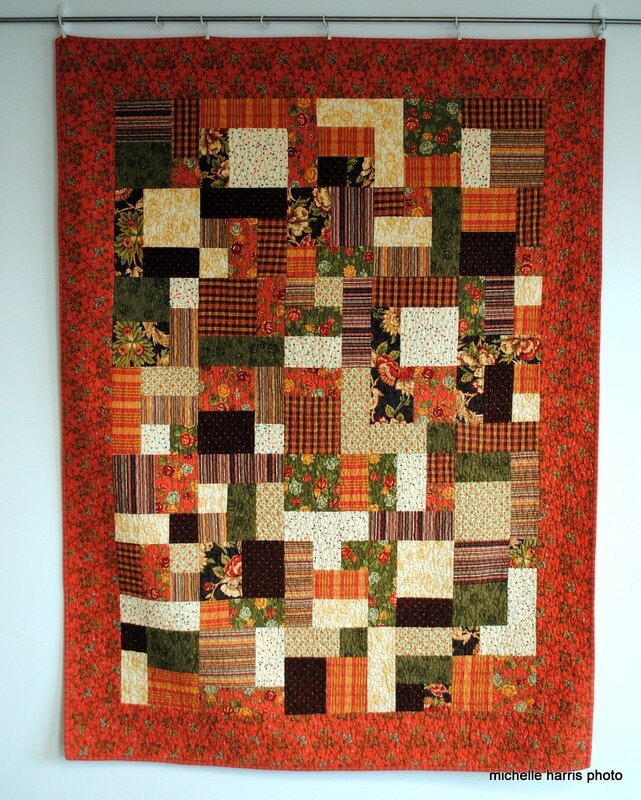 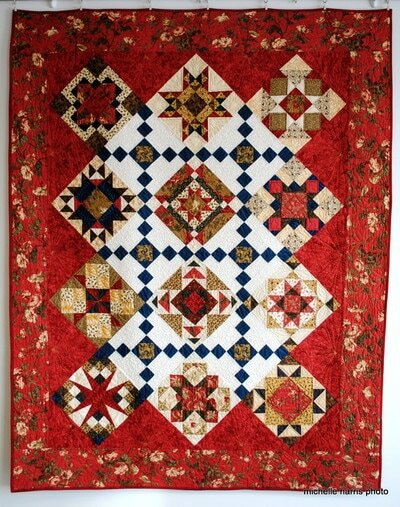 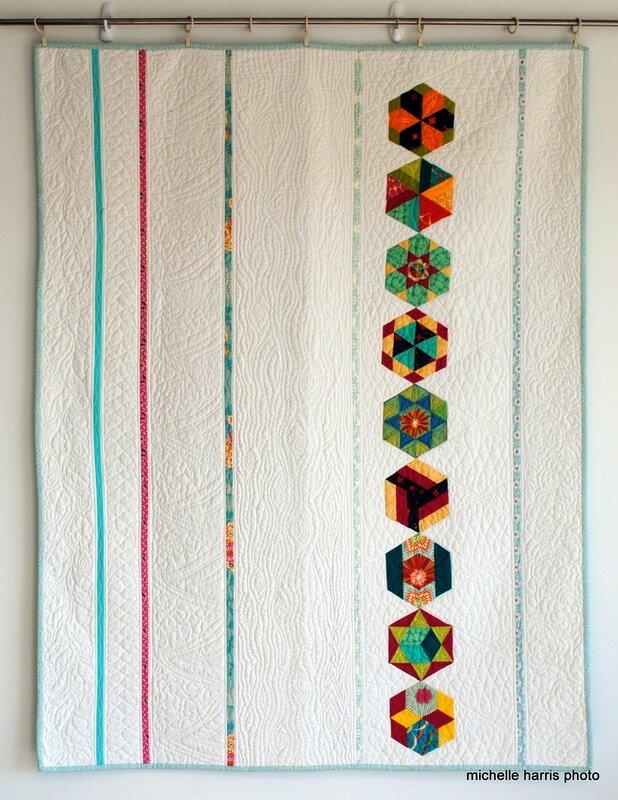 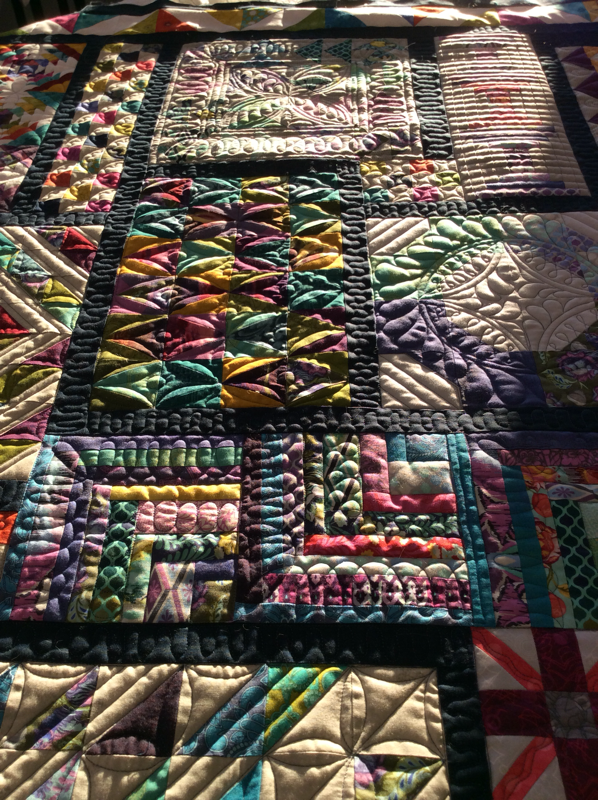 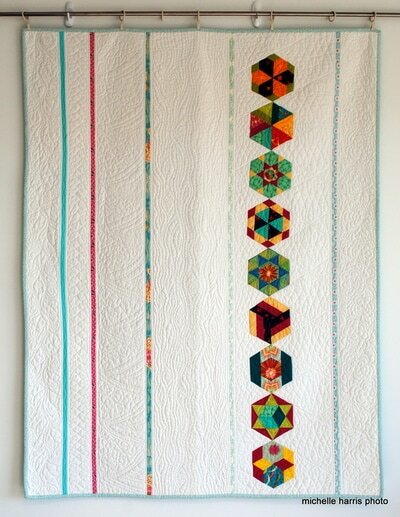 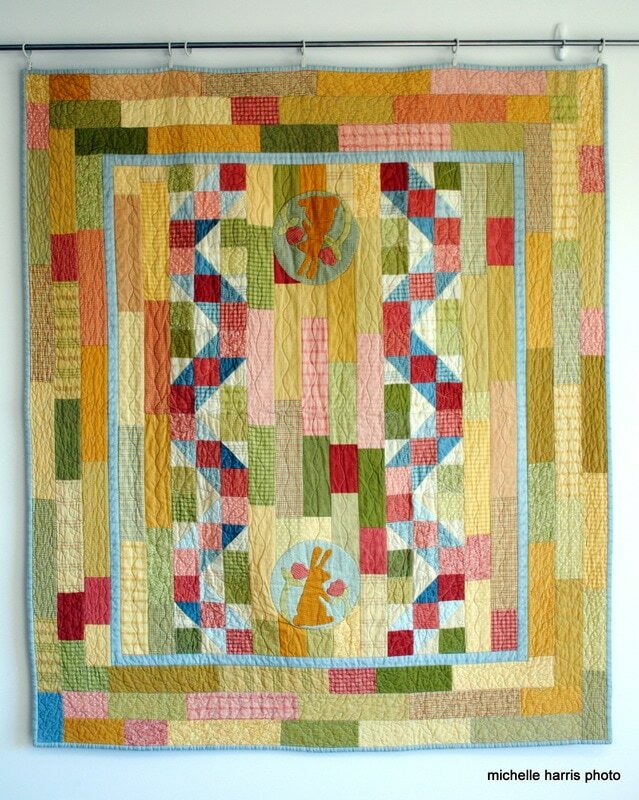 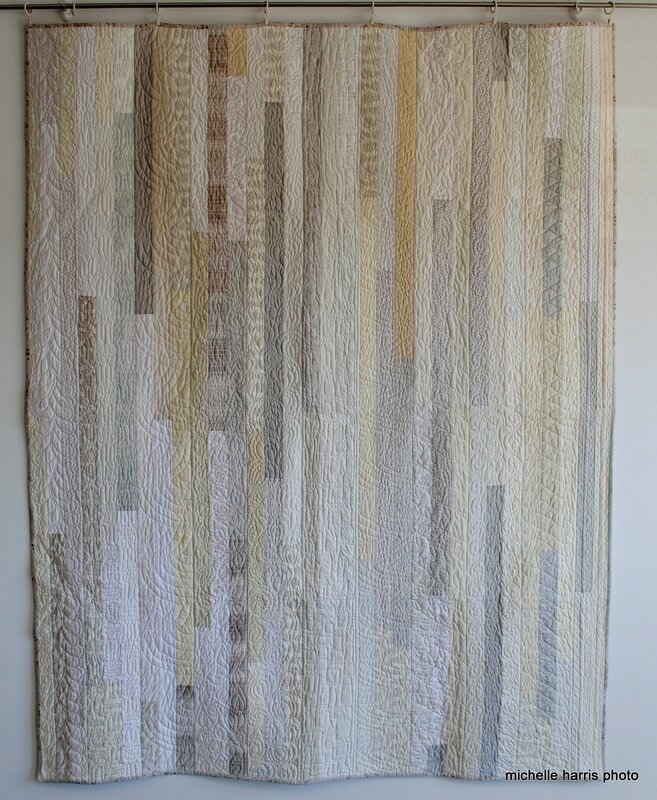 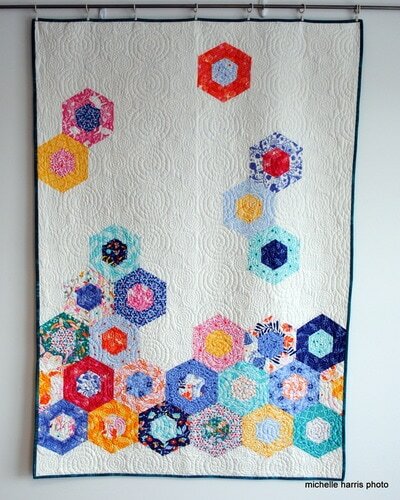 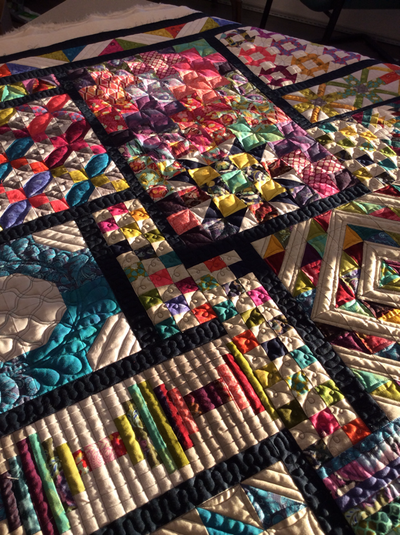 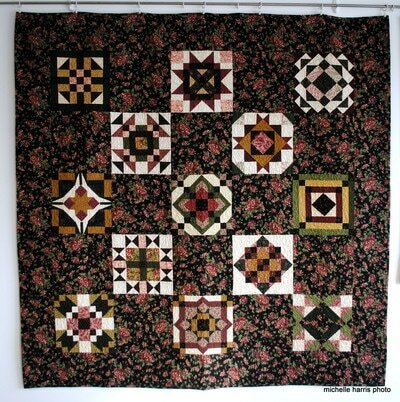 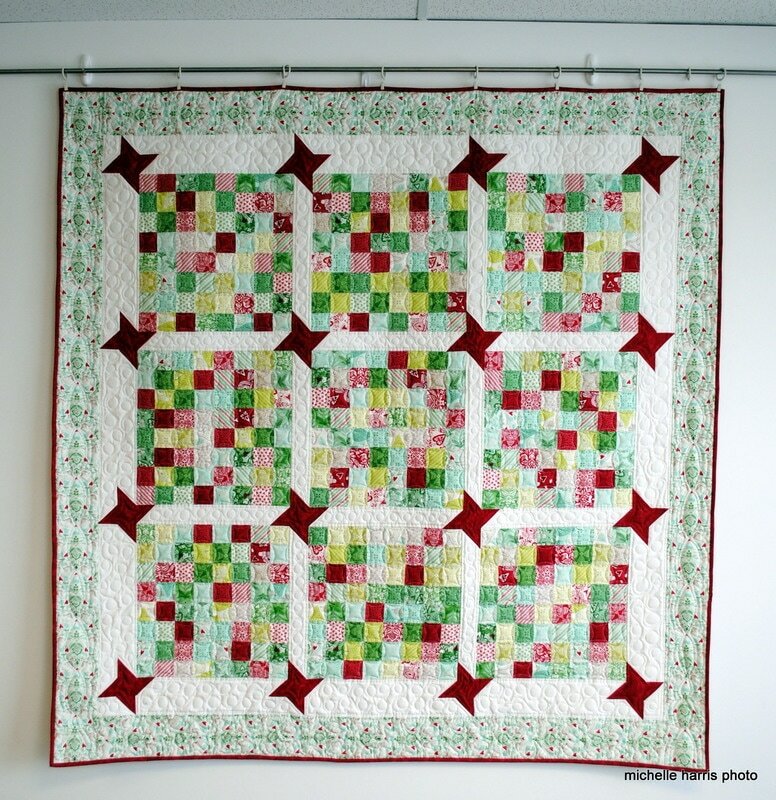 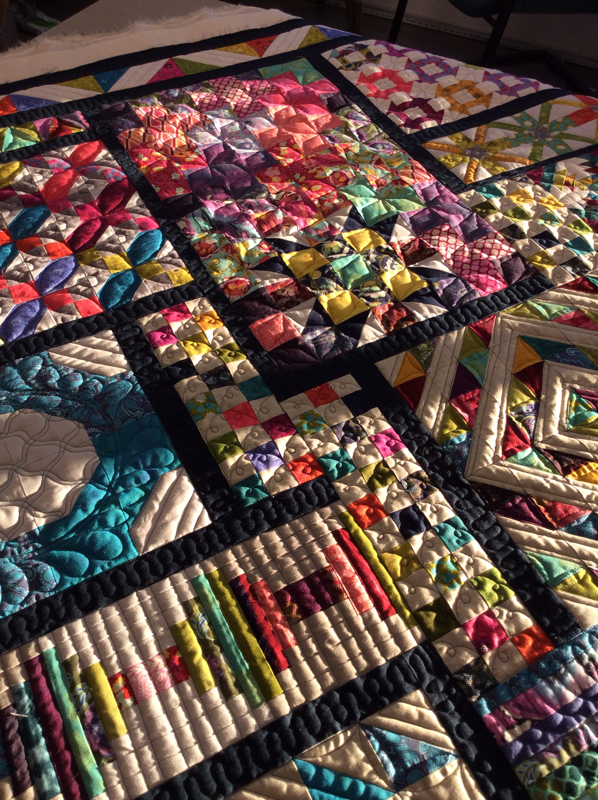 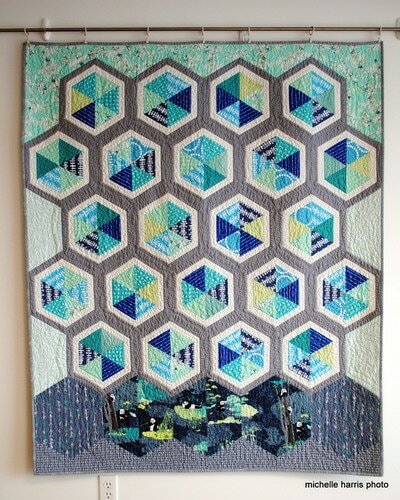 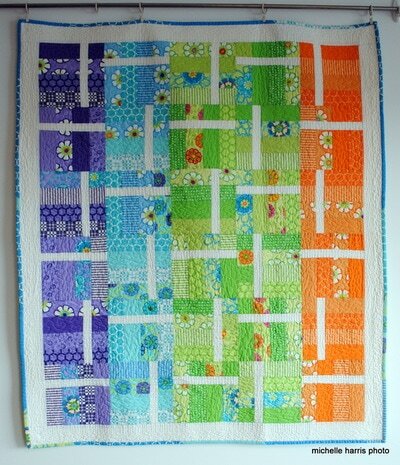 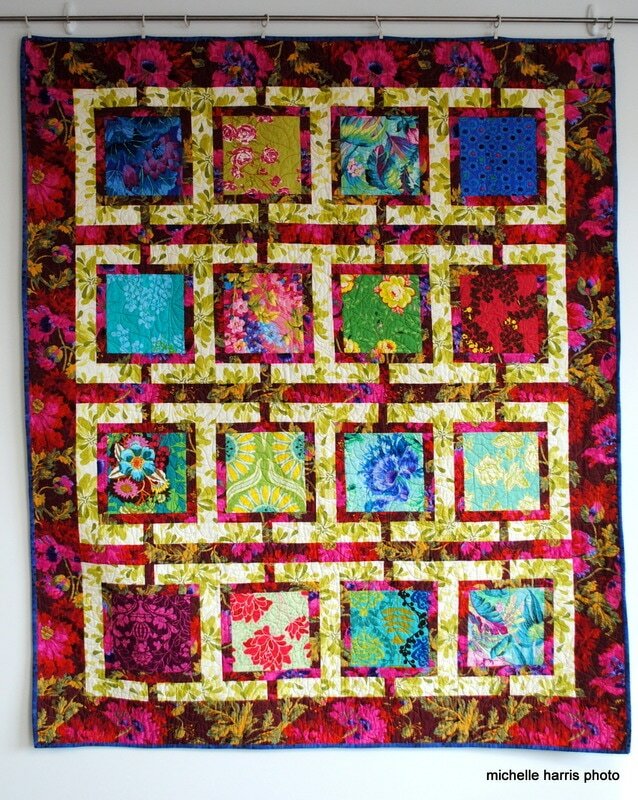 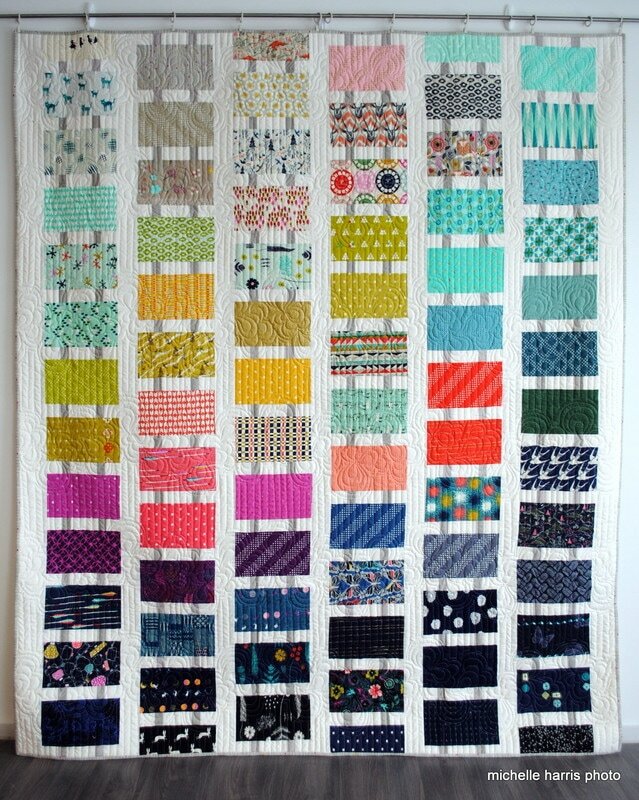 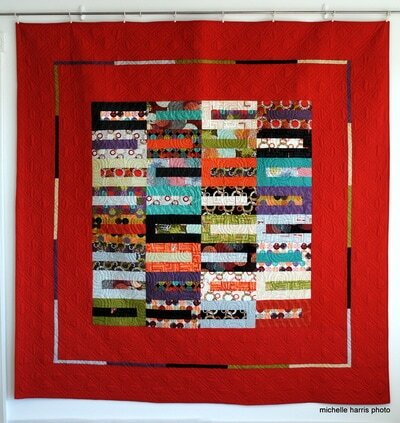 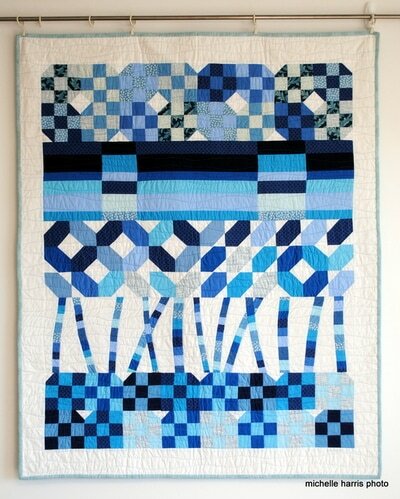 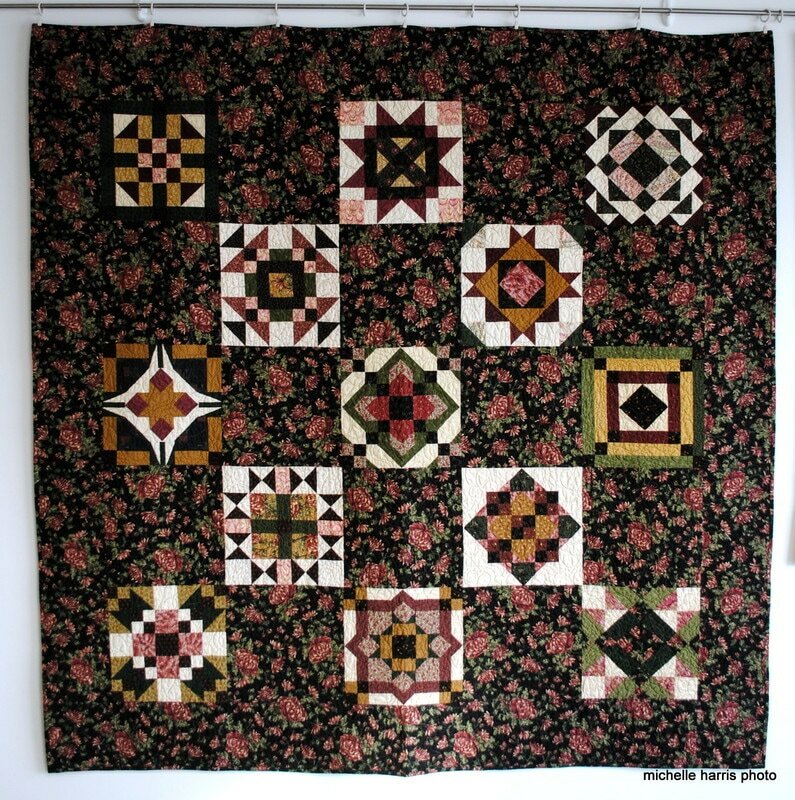 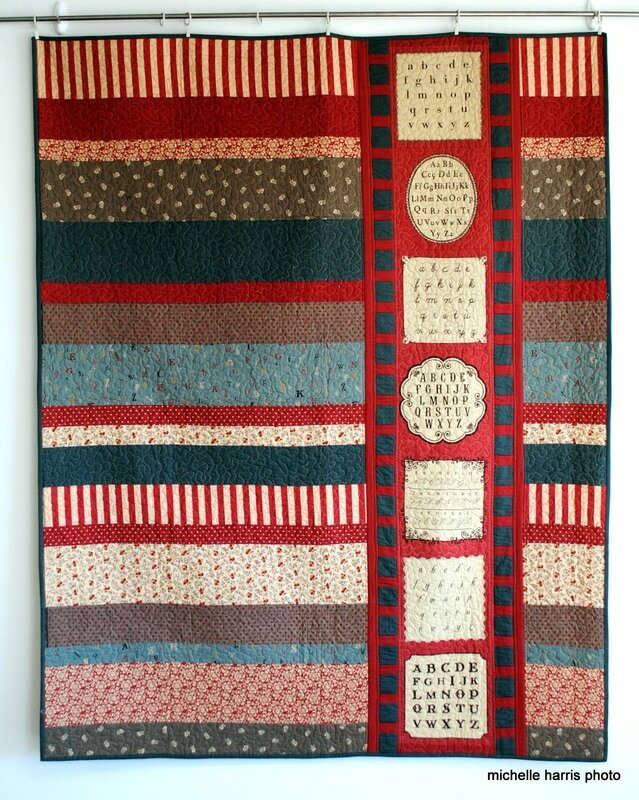 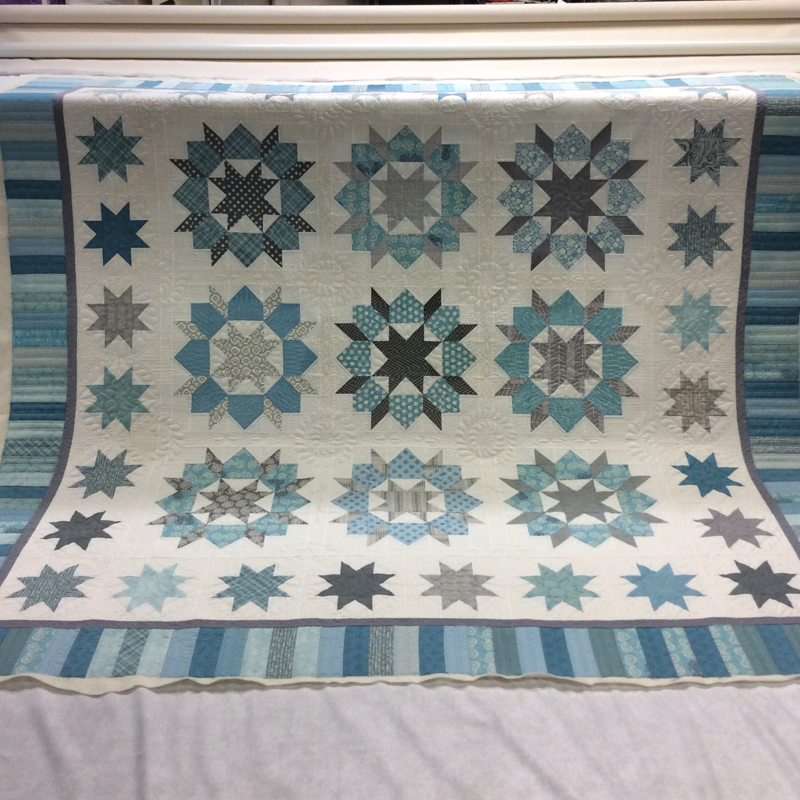 The Quilts shown below aren't ones that showcase the longarm quilting. 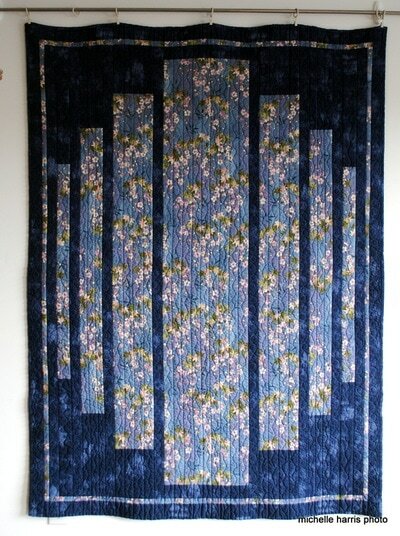 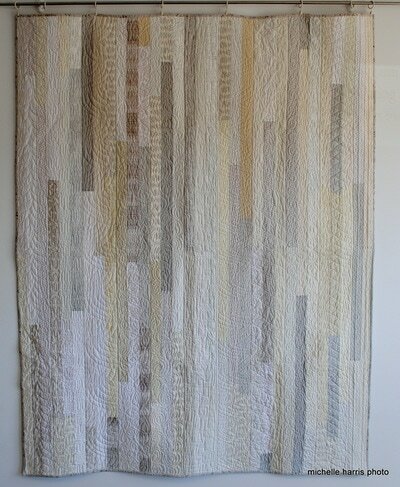 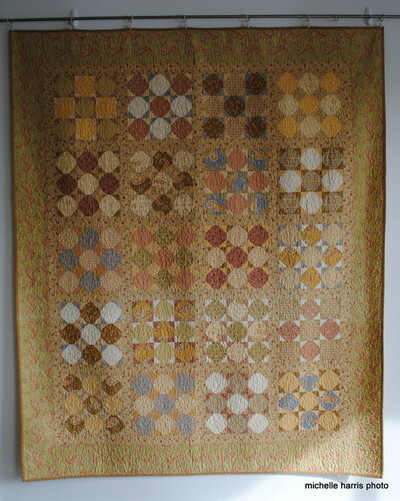 Rather, they are quilts that I have made over the past several years while owning a quilt shop. 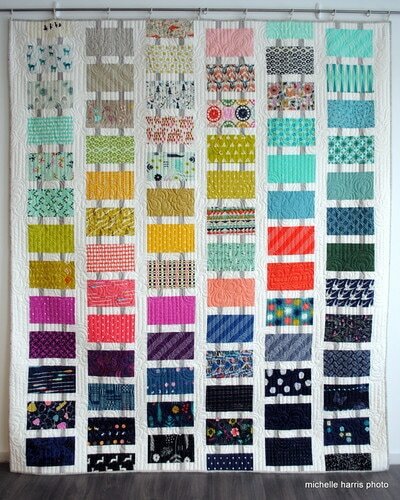 Many of them were sewn as samples to showcase a fabric line or pattern. 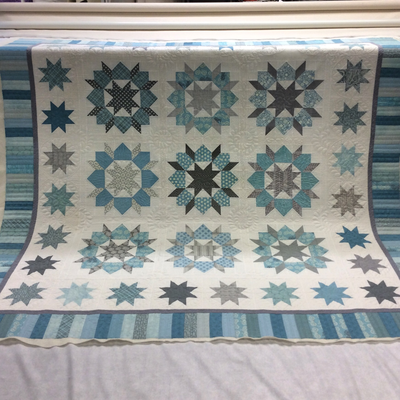 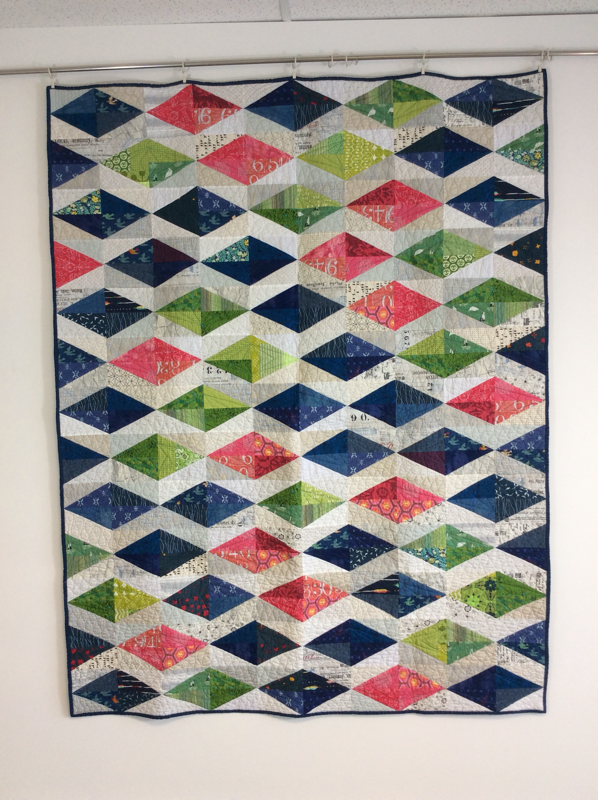 Most of the quilts here are for sale, so if you see something you would like, you can either purchase it from the studio in Saskatoon, or I would be happy to ship it to you! 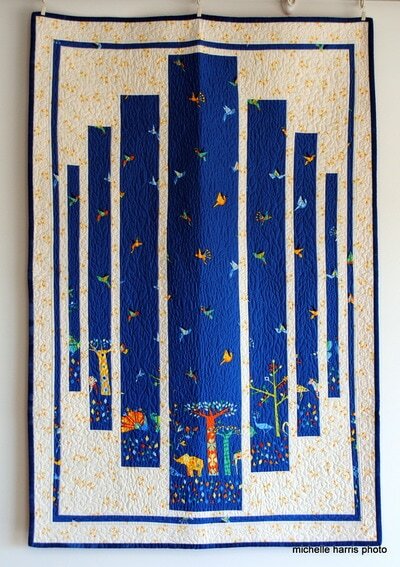 Valentine Quilt 53" x 64"
Child size Yellow Brick Road, Flannels, 44" x 55"
Falling Water Child 43" x 50"
Strip Stacks Batik, with Border, 59" x 80"